Working with Valentina and Federica was great. 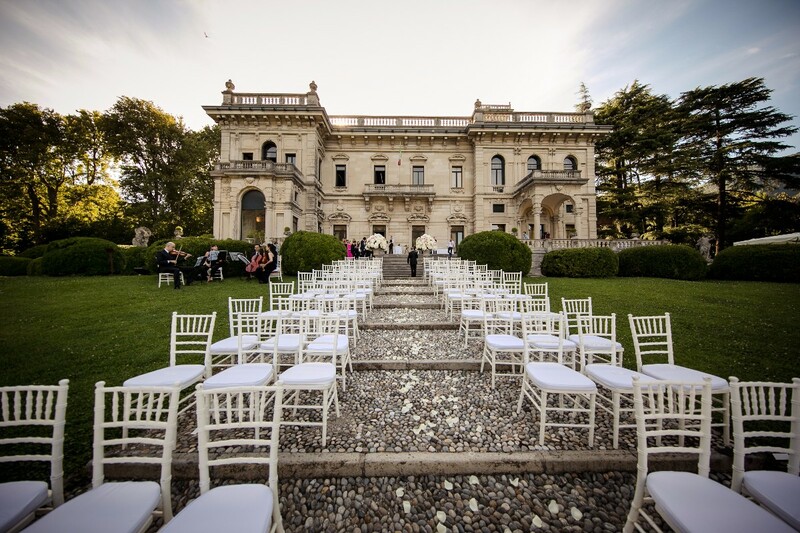 We are a British couple based in Australia and was looking to get married in Italy as my wife’s side of the family are mostly based in Southern Italy and wanted to take advantage of the great locations and food that Italy has to offer. From the beginning both ladies were very honest with their recommendations and gave plenty of advice regarding potential venues etc which is how we settled on Villa Eva in Ravello. Having someone on the ground in Italy who could speak the language was great as they could help to organise and negotiate in the right time zones and in the right language. 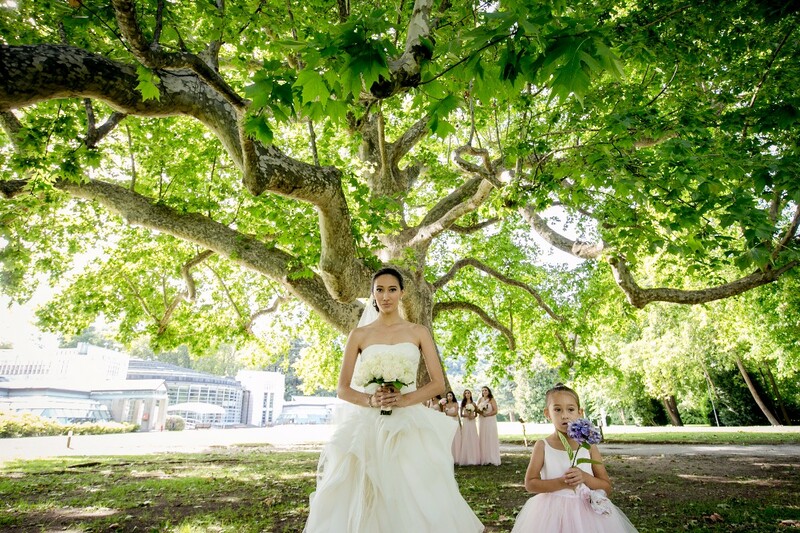 On the wedding day itself Valentina was excellent, she was very organised and ran the day smoothly keeping us in the loop and on track. Overall I would highly recommend working with this team as they were a pleasure to work with, extremely professional and ensured that we had an amazing day and will always give you their honest opinions which is something we highly valued. Valentina was phenomenal. She knew the area very well, she knows weddings very well, and she made planning the wedding a breeze for us, even from across the ocean. 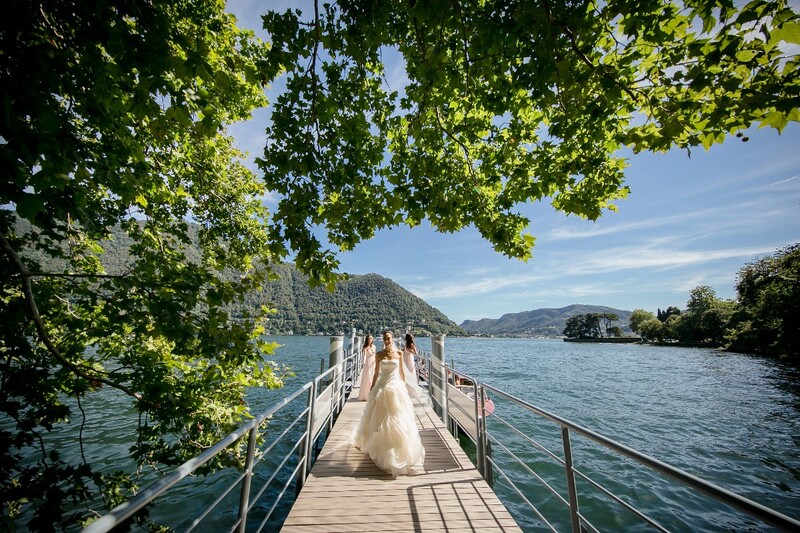 We had an idea of where in Italy we wanted to have our wedding, but Valentina & Federica helped us settle on a location and date. Valentina was always available for questions as the date approached, and she was constantly on hand the day of the wedding, coordinating everyone involved. We've heard horror stories about how difficult and stressful weddings can be, but Valentina was an absolute angel and took out all the stress. 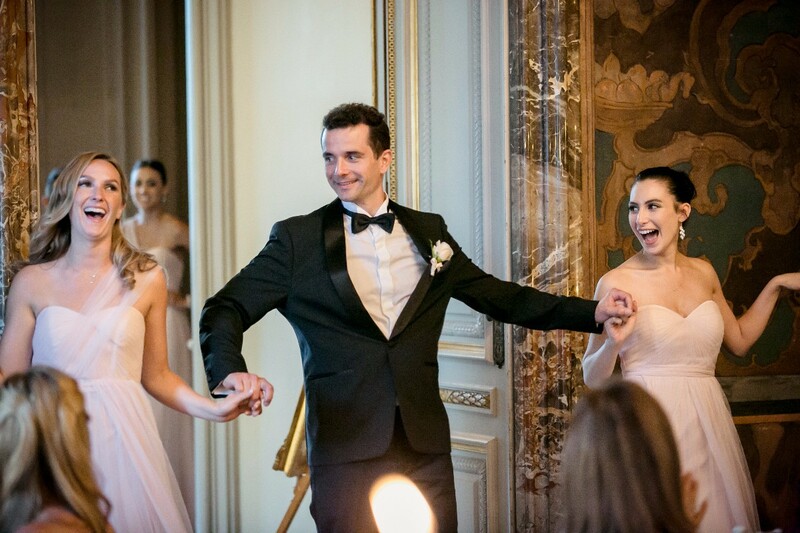 My wife and I are pretty high-strung people, but even we felt comfortable and relaxed during the wedding with Valentina on hand to help everything go smoothly. 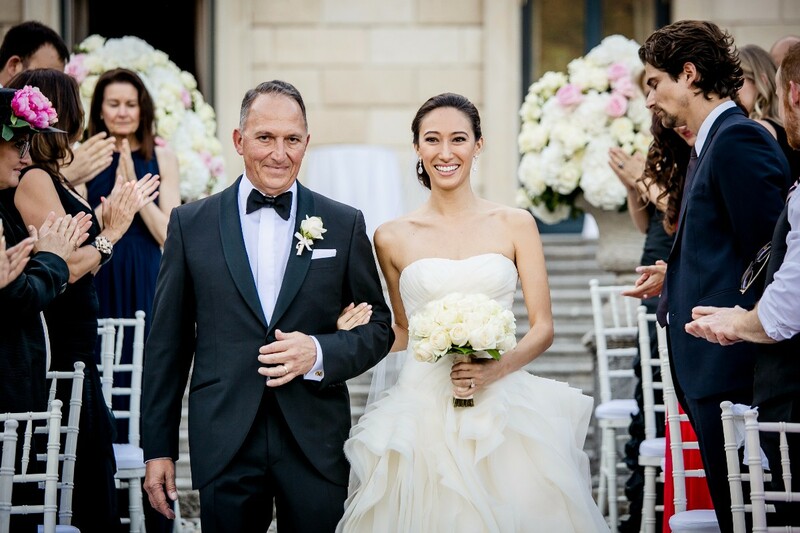 Finally, Valentina helped with all of the legal paperwork, starting with what we needed to accomplish from home before traveling to Italy, to helping us get to the American Embassy in Naples, to getting our marriage paperwork from the town hall in Ravello. 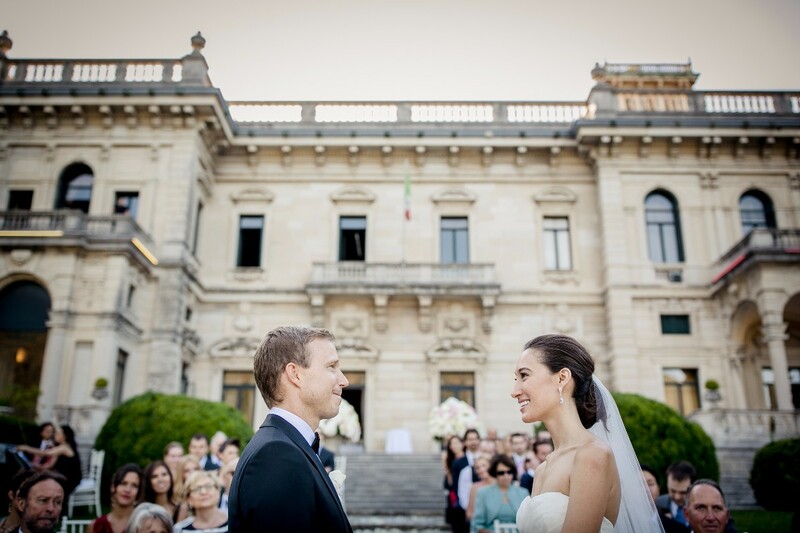 We have and will always recommend Valentina and The Italian Wedding Event for people looking to get married in Italy! 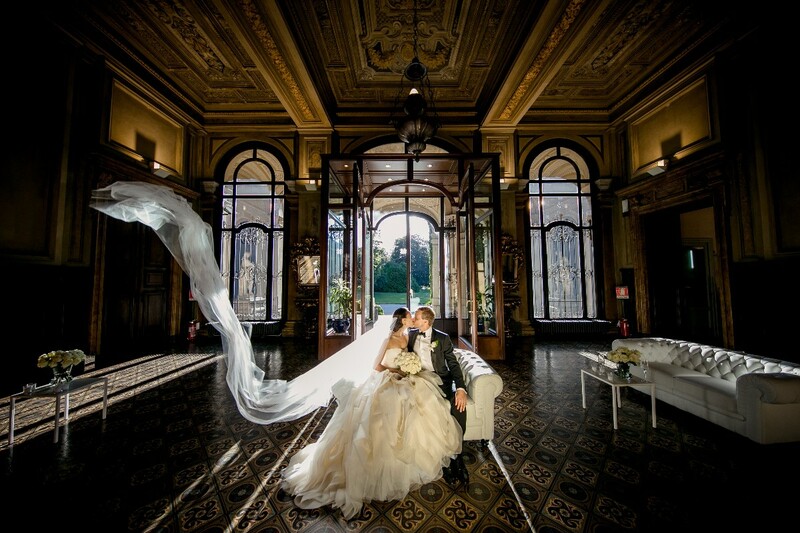 The word perfection doesn’t even capture what Federica and her team have done for me to create my fairy tale wedding. We communicated daily for months through email. Federica would email me step by step what I needed to make a decision on - venue, date, photographers, flowers, music, etc. She always made it easy for me to choose because she always gave me options and suggestions. She knew that it was difficult for me to make a decision considering that I was just choosing blindly, but she always reassured me that I was making the right decision or she would suggest otherwise. 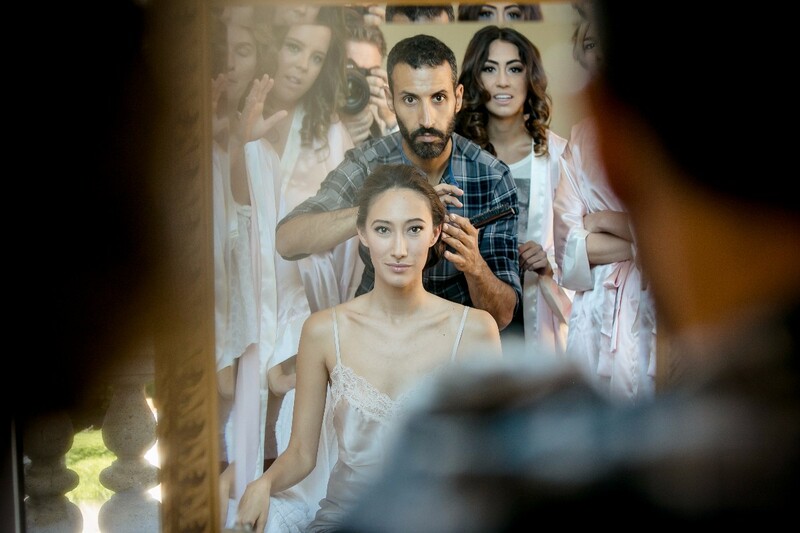 Being very far apart from one another and not being able to be hands on with everything, Federica made sure that everything would be beautiful. 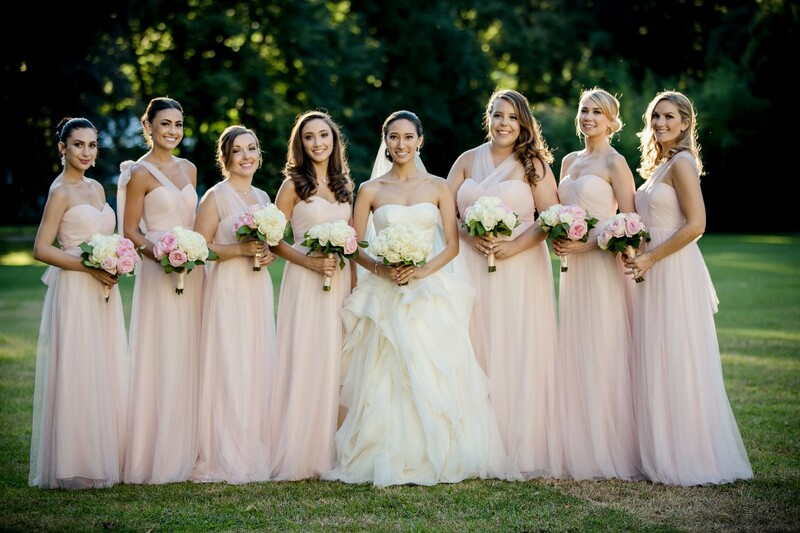 Throughout this whole process, Federica and her team have been nothing but AMAZING and so very helpful in all aspects of my wedding. From dealing with paperwork, helping me find accommodations for my guests, dealing with transportation arrangements and many other things, Federica and her team were on the job to make sure that everything was taken care of and that I didn't have to worry about anything. 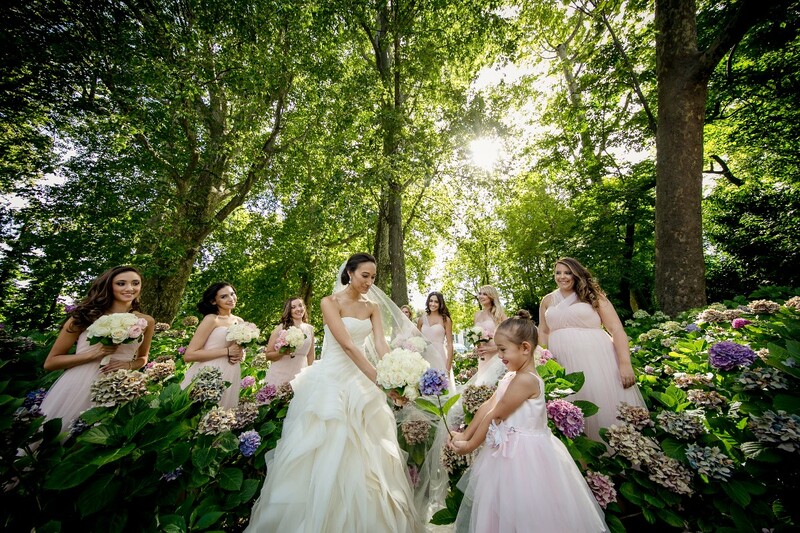 I call Federica my fairy godmother because she created a fairy tale wedding that was above and beyond my expectations. Aristotle once said “Pleasure in the job puts perfection in the work.” Federica is the meaning of this quote because she loves her job and loves making peoples dreams come true and she will do everything she can to make sure that everything is taken care of. 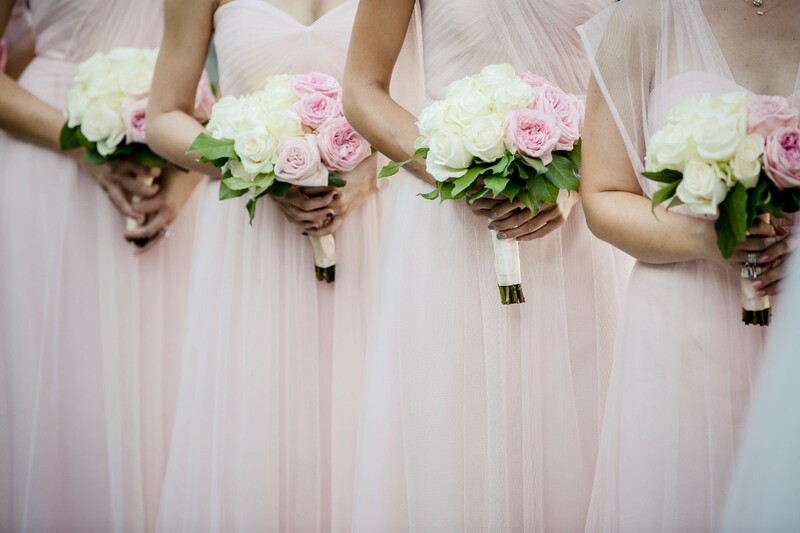 Federica made me feel so good about the whole planning process-I didn’t need to worry about anything, all my requests were taken care of and she listened to everything that I wanted. Her attention to detail and her eye for creating beauty was just astounding. Up until today everyone is still talking about how beautiful my wedding was and how they will never forget that night. 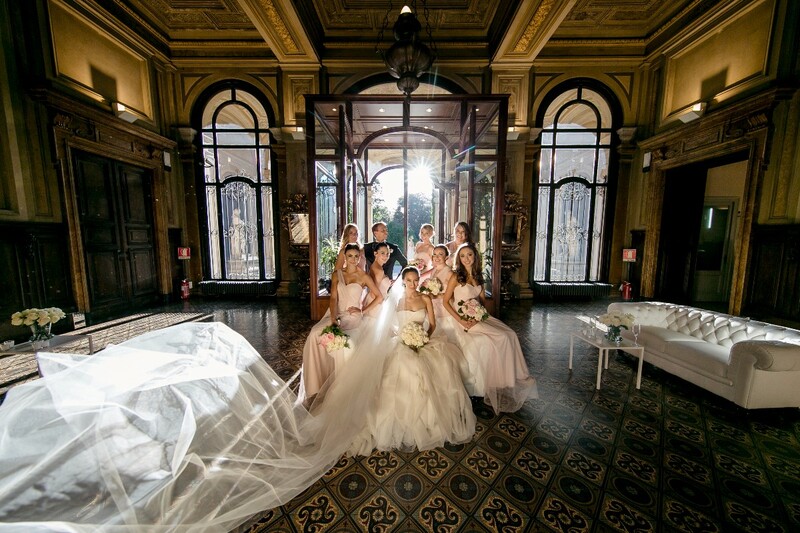 I am so honored, lucky and blessed to have had Federica and her team to create my fairy tale wedding and I am so very happy to have created a long lasting friendship with Federica. She is the most kind hearted and loveliest person you will ever meet. She made me feel like family. 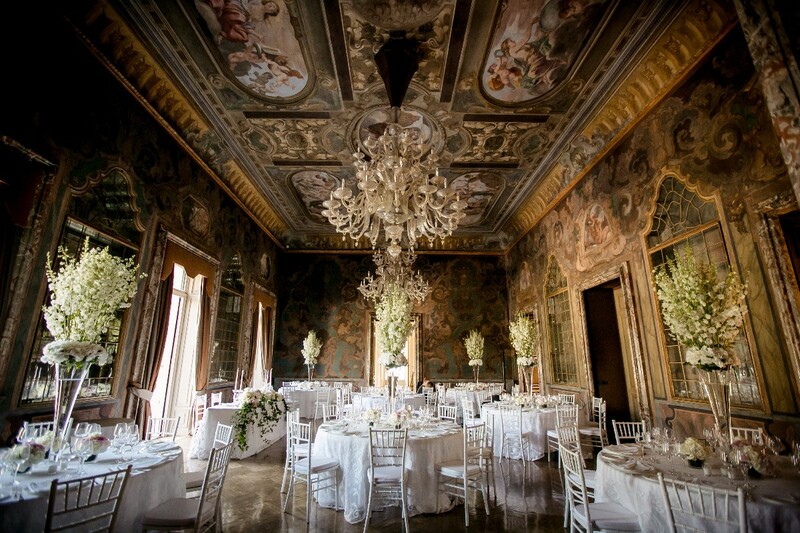 If you need a wedding planner in Italy, I highly recommend Federica and her team. You will not be disappointed because the fairy godmother will make your dreams come true and more. 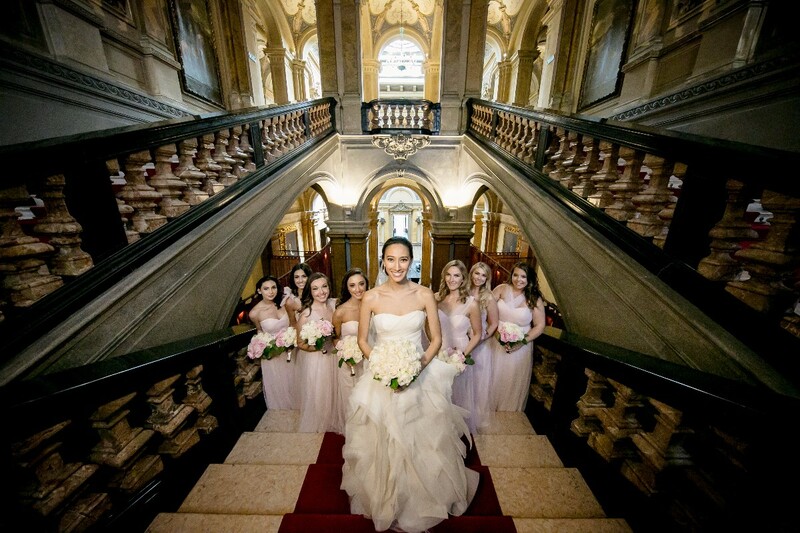 We could like to thank Federica and her team for making our wedding simply magical. 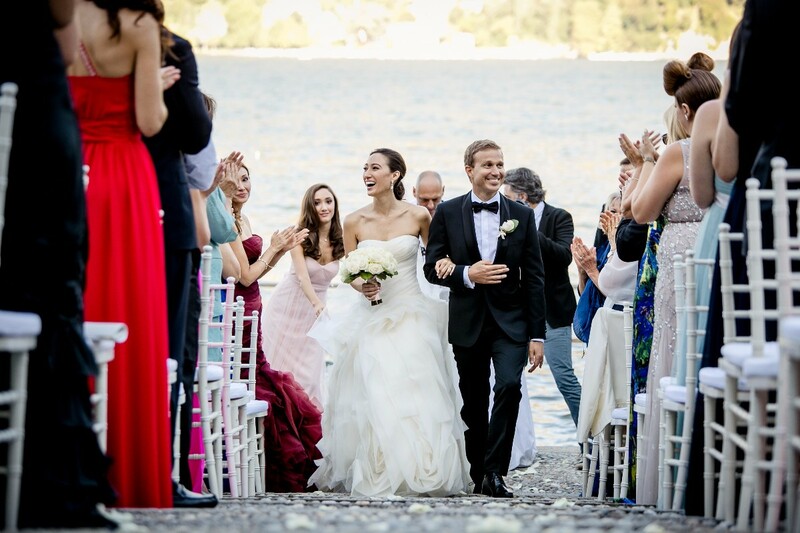 Being from Australia and having our wedding in Positano, Federica made us feel comfortable and assured that all was taken care of every step of the way. 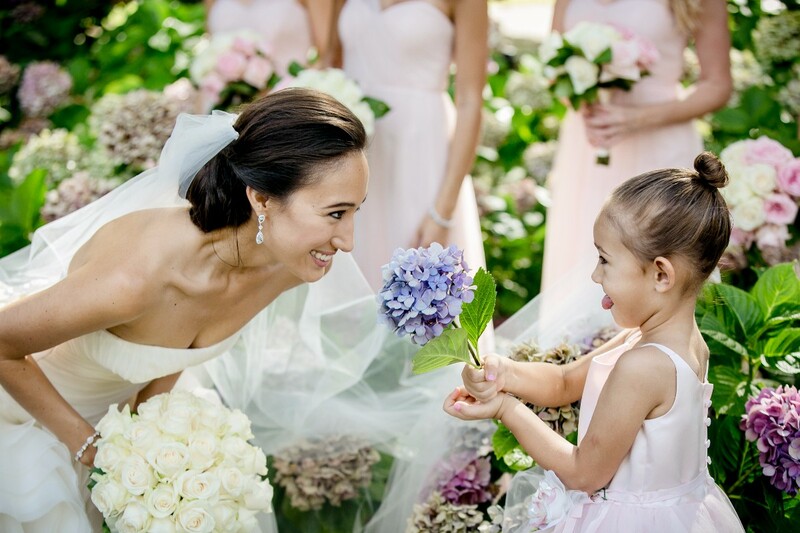 From our early Skype meetings, she took the time to get to know us as people, and through this, her and her team created the most wonderful day, with every detail styled and thought out to perfection. 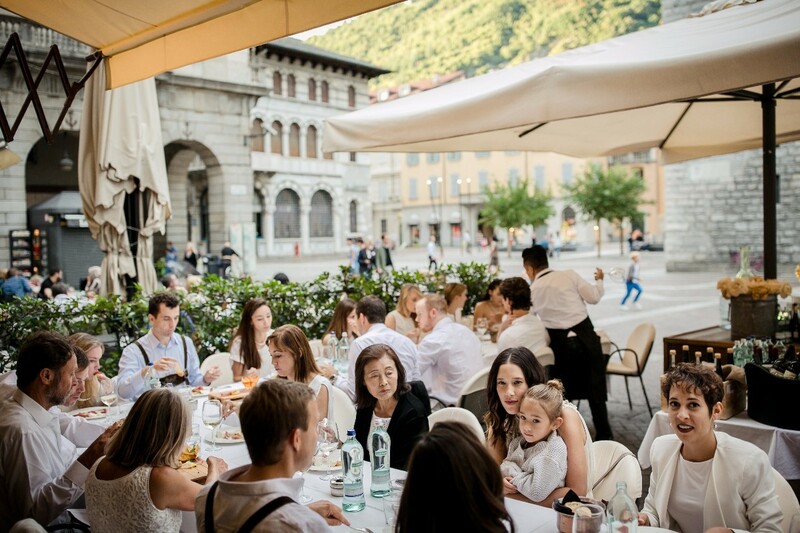 All of our guests commented on how perfect the day was, and it's all thanks to Federica and her team. We could not recommended IWE enough!! I feel so blessed to have found Fede to organise our wedding. 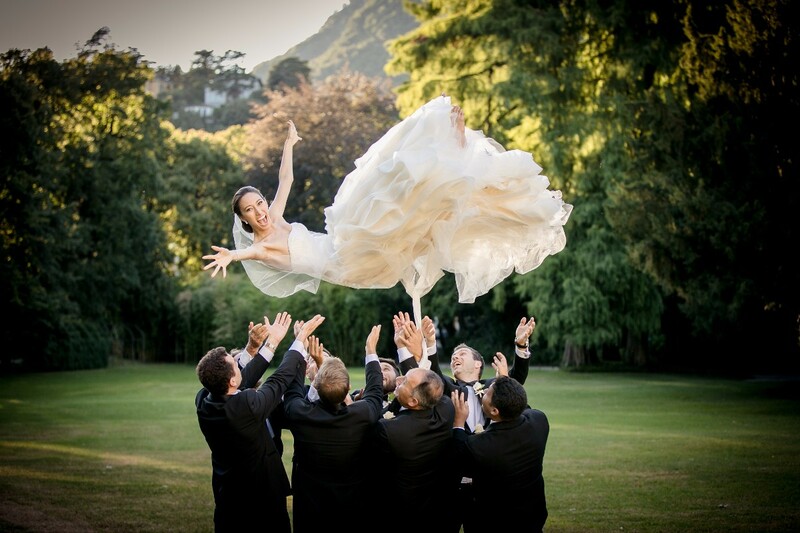 She is simply the ultimate in wedding planning. 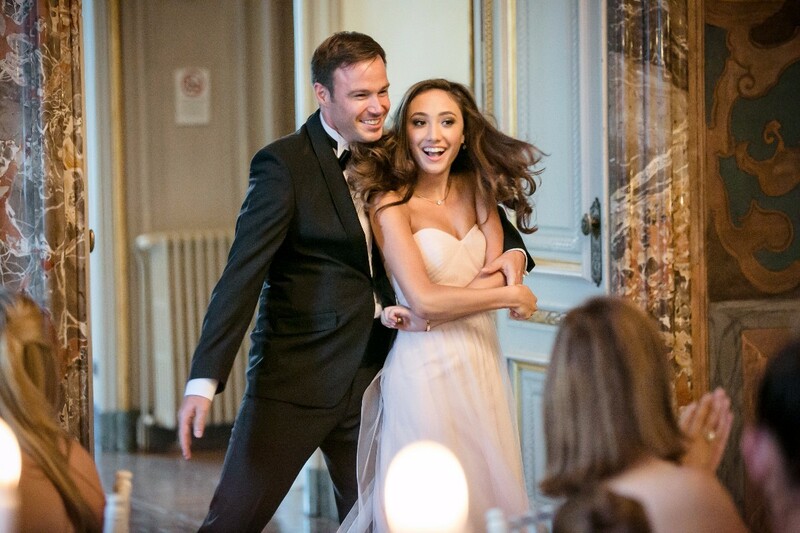 We had the most magical and memorable day and all of our guests said it was the best wedding they had ever been to. Fede was always available to answer my many many questions....she effortlessly guided us with recommendations as to what would and wouldn't work and ensured that our vision as to how we wanted our day to be came true. 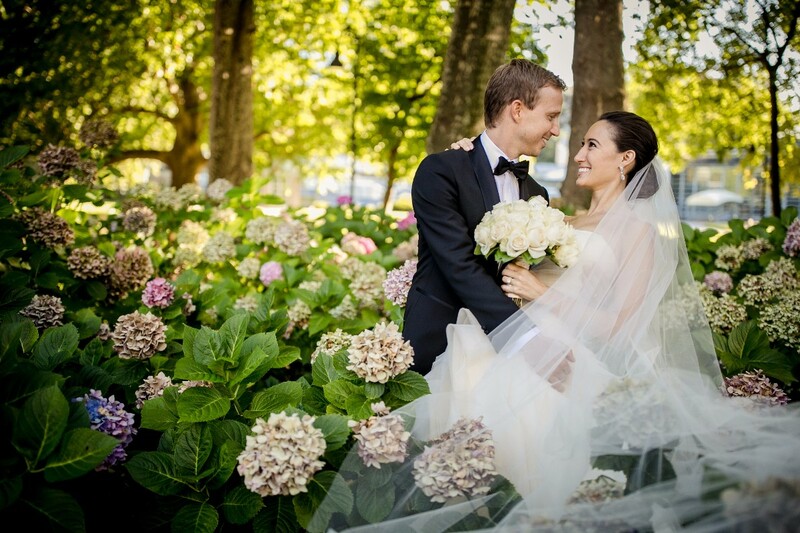 Our wedding day far exceeded our expectations and it is a day that I will never ever forget. I cannot thank Fede enough for her time, patience, vision, expertise, attention to detail and above all her beautiful soul. She is a force to be reckoned with and I cannot recommend her highly enough! 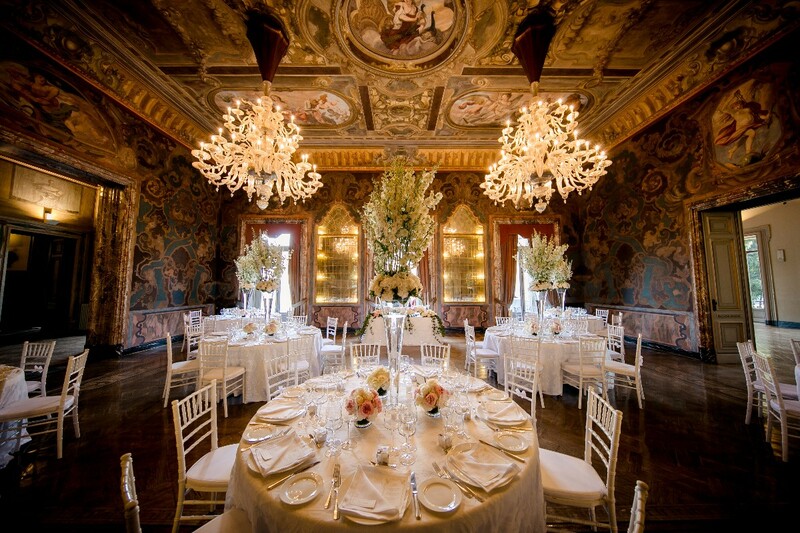 If you are thinking of getting married in Italy, then look no further for a wedding planner. She is simply the best and I will forever be in her debt for making our dreams come true. With Fede standing by your side, anything is possible! 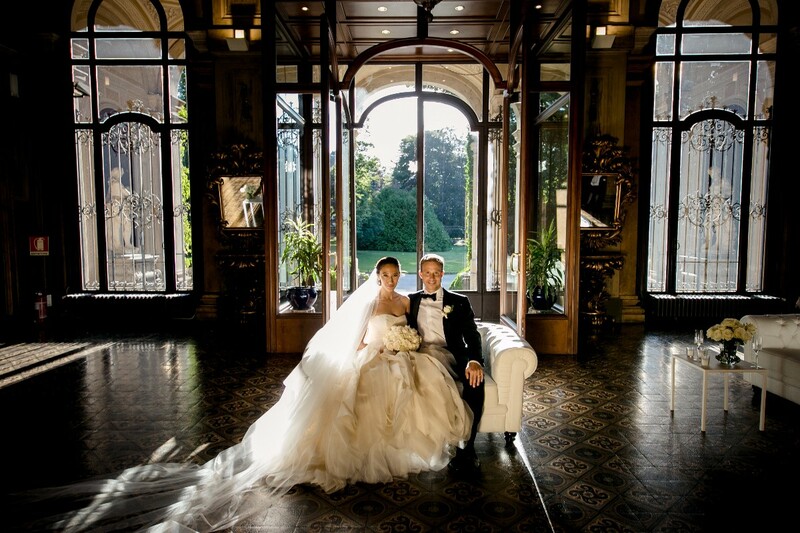 After an initial Skype conversation with Federica and the Italian Wedding Event, we were very impressed with Federica as she clearly understood the balance we wanted between an Italian/British wedding, so made the great decision to have the support of Federica for our wedding day - a decision we couldn't be happier with!! Throughout the year planning for our wedding, Federica always made herself available for us (in very short order); answering any questions we had, giving us advice based on her experience, and ensuring key decisions were made at the right time to ensure all vendors etc came together on the day. One of the best things about working with Federica for the planning stages was that she was able to share her experience on what both Italian guests would expect from a wedding, as well as British guests - allowing a good compromise to be struck with all aspects to ensure not only that we enjoyed the day and that it was done in the way we wanted, but that our guests would also be impressed with the day. There were also a few aspects which we chose to organise/provide ourselves, and Federica was very supportive in us doing this. She was able to provide us with all the graphics and logos needed to ensure the stationary was consistent across the elements we were organising, with those she was providing. 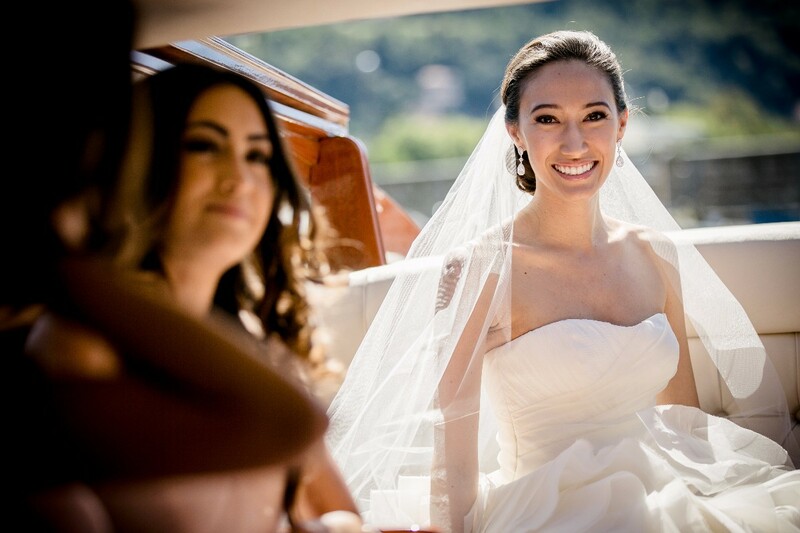 When the wedding day came round, the value of Federica and the Italian Wedding Event really became clear. Federica made sure the whole day (and the days leading up) ran smoothly, seemingly effortlessly. Federica made sure there was a plan for preparations as well as for the wedding itself, but in a way where it didn't feel like the event was rushed. 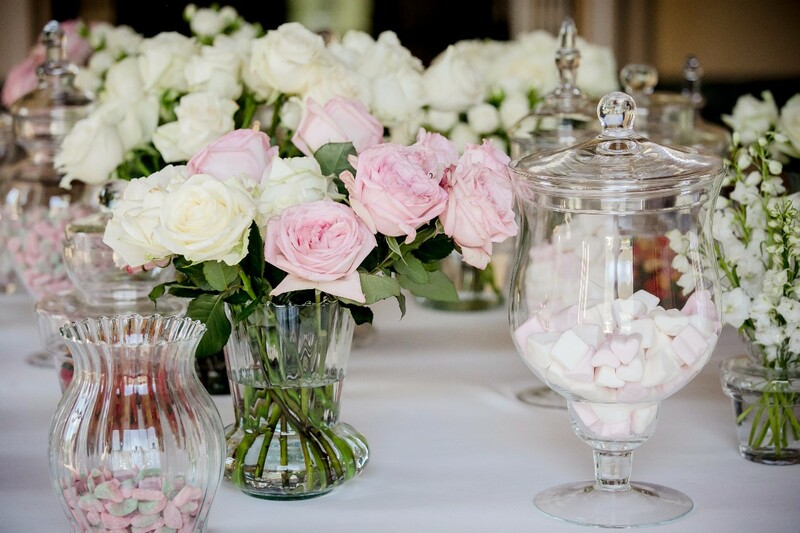 We loved that this meant all our guests could enjoy the day as we didn't need to ask anyone to help us organise! At the wedding itself, the quality and standards Federica applies to her weddings was very clear. It's fair to say we challenged Federica throughout the planning process to cut back on a few areas without a significant impact on the quality, and Federica ensured this was achieved. Everything from the stunning flowers to match the colour scheme, the amazing musician, the quality and spread of food, to the outstanding stationary (including graphics and design) - it all came together beautifully to ensure a very high quality and standard which impressed not only the British, but also the Italians!! This is a testament to the trusted suppliers/vendors Federica works with. We had the best day of our lives, and this was all made possible by working with the wonderful Federica and The Italian Wedding Event. We can't thank you enough for what you helped us achieve on the day - thank you, grazie, dank je wel!!!!!!!!! 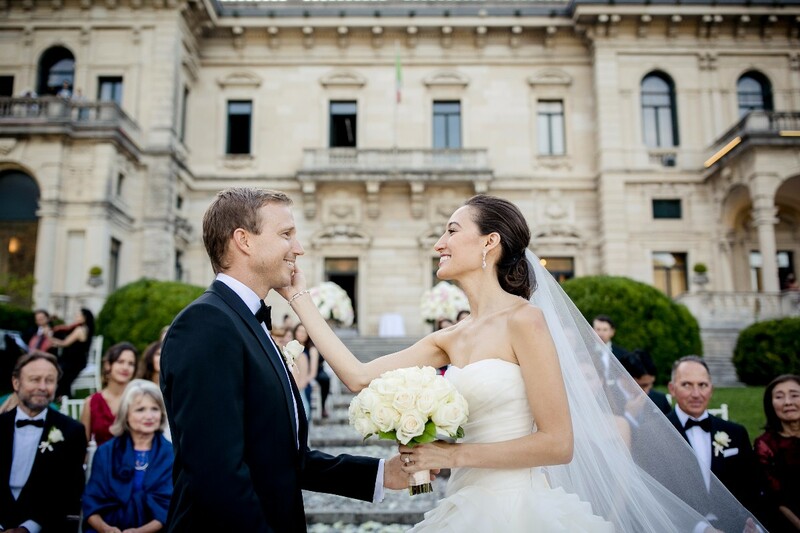 Our wedding this past September in Florence was more perfect than we could have even imaged thanks to Federica and her team. 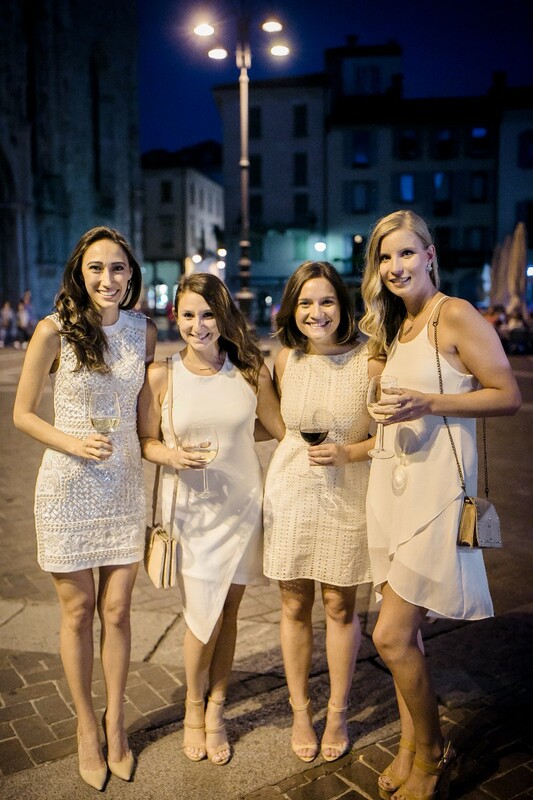 We got in contact with Federica a little more than a year before our wedding and she was in constant communication with us every step of the way up until the big day. She always had everything 100% locked in and buttoned up. 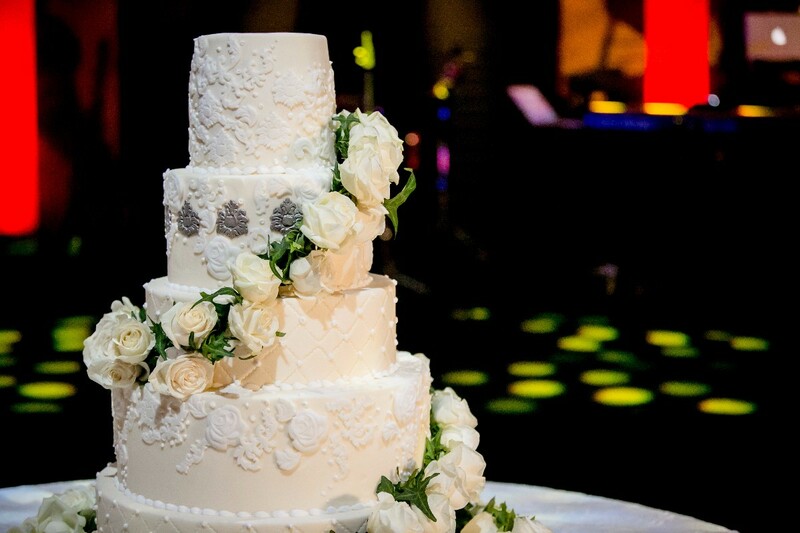 She recommended perfect vendors for us, from the venue to the celebrant, and we barely had to do any of this research on our own because she presented such good options. Federica has a beautiful balance of being extremely professional while also super warm and personable. She made us more than comfortable that all details were handled. During the day of the wedding, she was also extremely helpful in guiding us from one activity to the next and we loved having her as part of the celebration. Our guests could not stop talking about how awesome she was either. 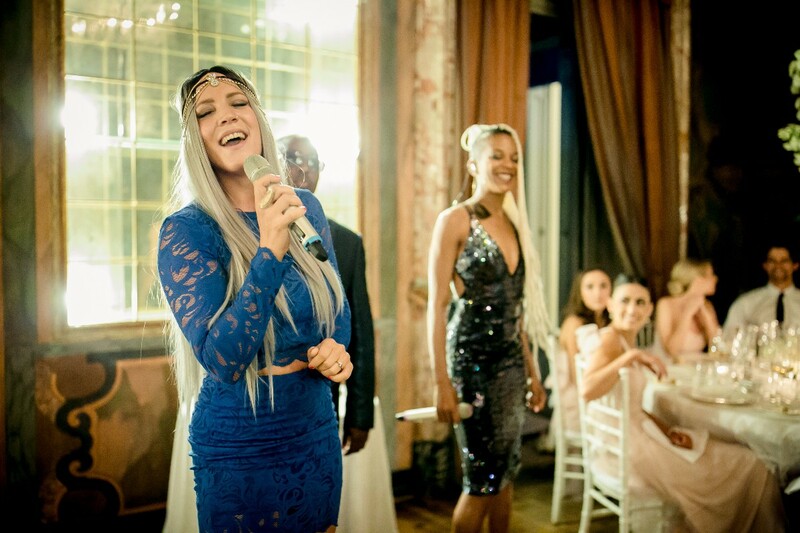 I would plan 100+ more events with Federica - we recommend her all the way! Federica and team - we can't thank you enough for all your help <3! I cannot say enough about Federica and her team! 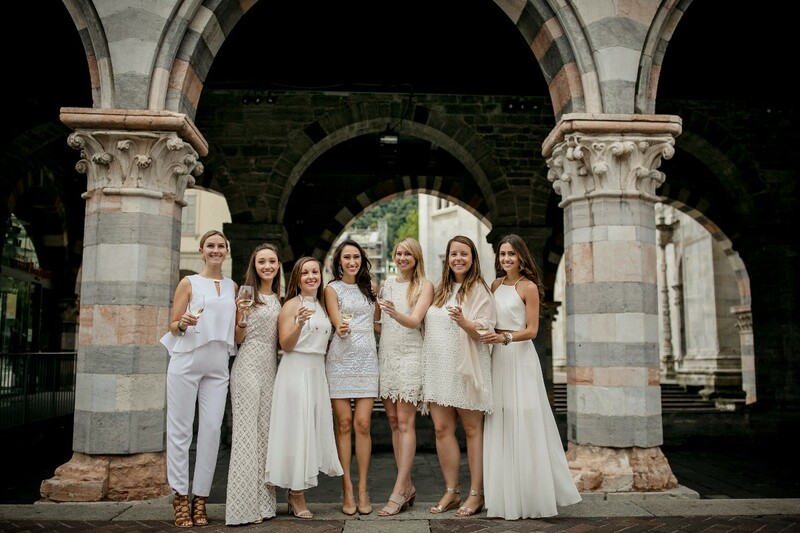 We are so incredibly thankful for everything she did pre-wedding as our wedding planner and everything Valentina did during our wedding festivities (welcome dinner, wedding, and post-wedding trip to Capri) as our day-of-wedding coordinator. They each went above and beyond for us. 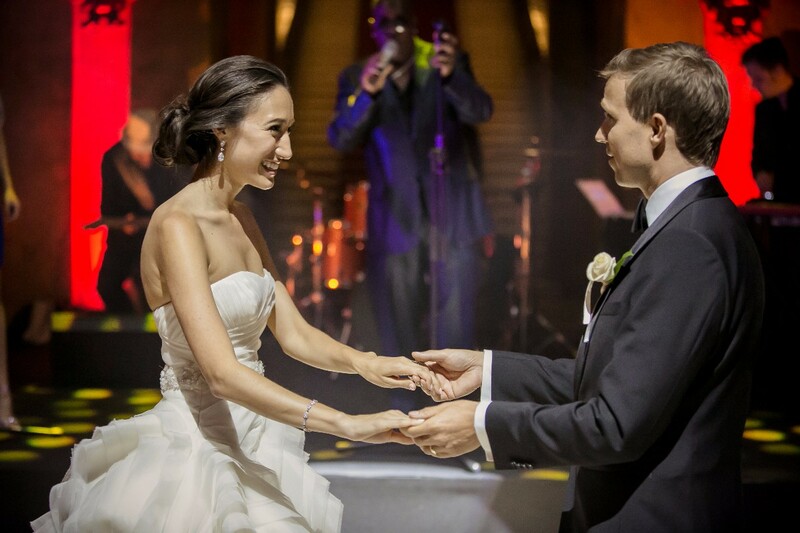 They were professional, honest, and hard-working, and we honestly could not have asked for a more personalized and fantastic wedding experience. 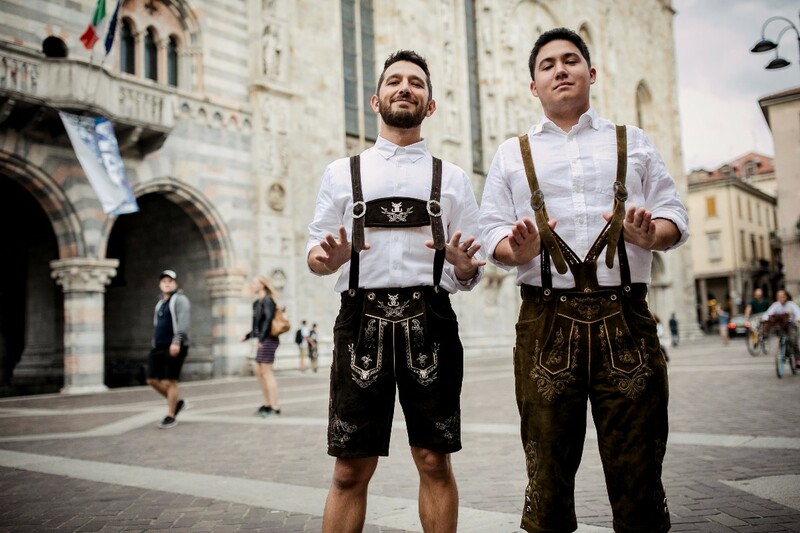 We knew nothing about Italy going into this and completely put our faith in the Italian Wedding Event, and we were not disappointed. 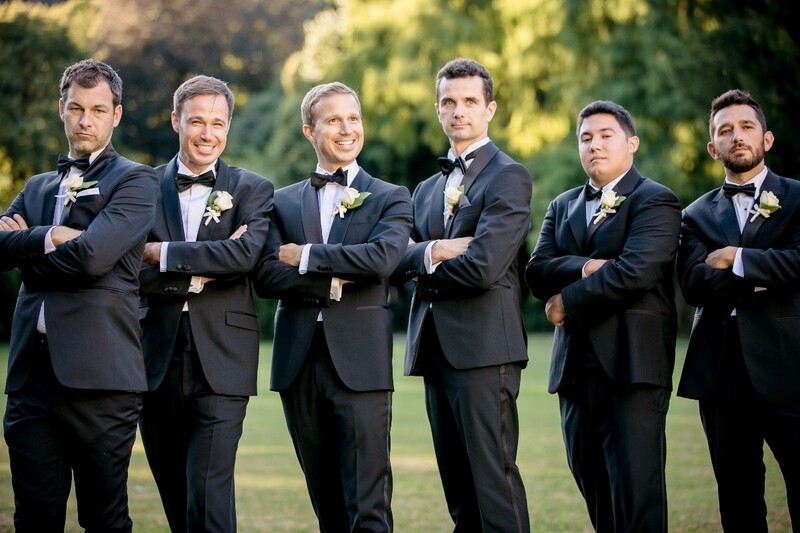 They helped capture our personalities and wishes and helped us hire the best wedding team (photographer, videographer, hair/makeup staff, etc.). 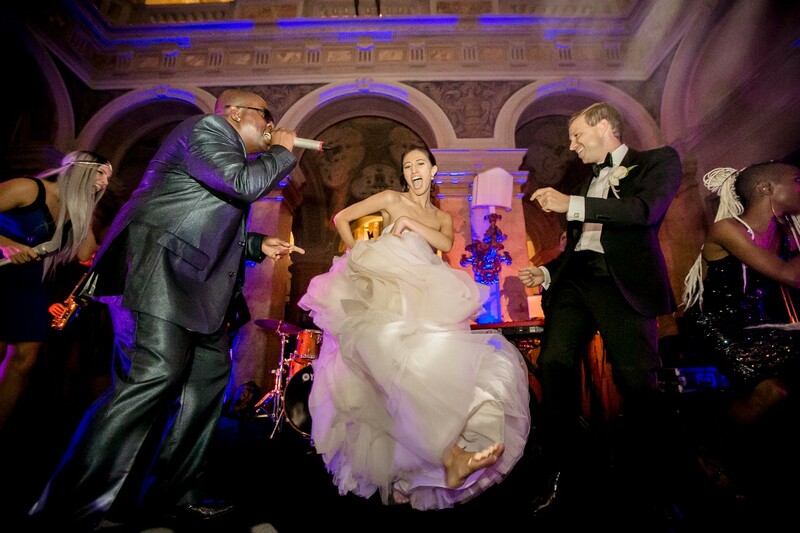 Our guests were blown away, as were we. Not to mention that Federica and Valentina are just amazing women in general and were an absolute joy to plan with :) Thank you again for everything, Federica and Valentina! 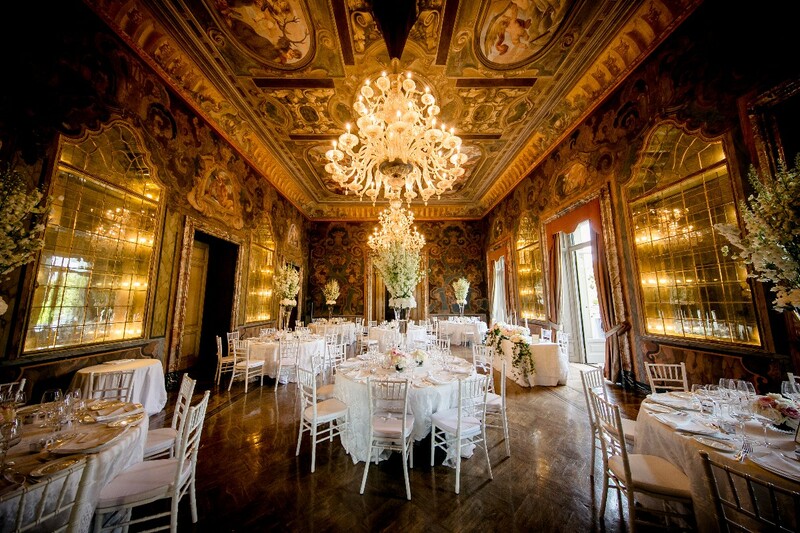 I cannot recommend IWE enough to anyone looking to plan a destination wedding in Italy. Traci and I absolutely loved Federica! She was like a friend we had known for years, taking care of us and any issues we had. If you are going to Italy for your wedding, first of all what a great choice, and secondly do yourself a favor and hire her! You surely won't regret it. She provided a fabulous experience! 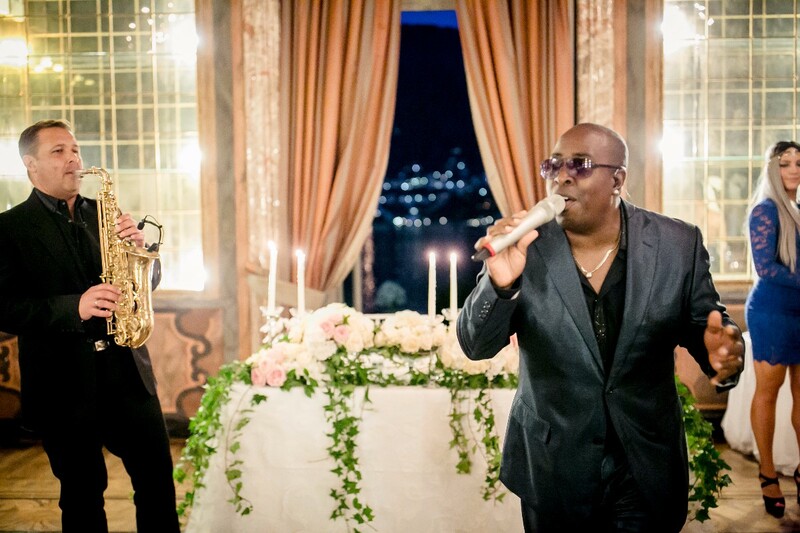 Fede was absolutely fantastic and made sure we had the most incredible and special Wedding day in Ravello. She was completely brilliant throughout the entire build up to the wedding, always available and always on hand with recommendations and suggestions. She made sure we could build in our own taste to the day whilst using her experience and expertise to guide us when we needed help. We always felt like we were in safe hands and could completely relax with Fede organising the day, which when you’re based in different countries is so so important. We could not recommend her highly enough…. 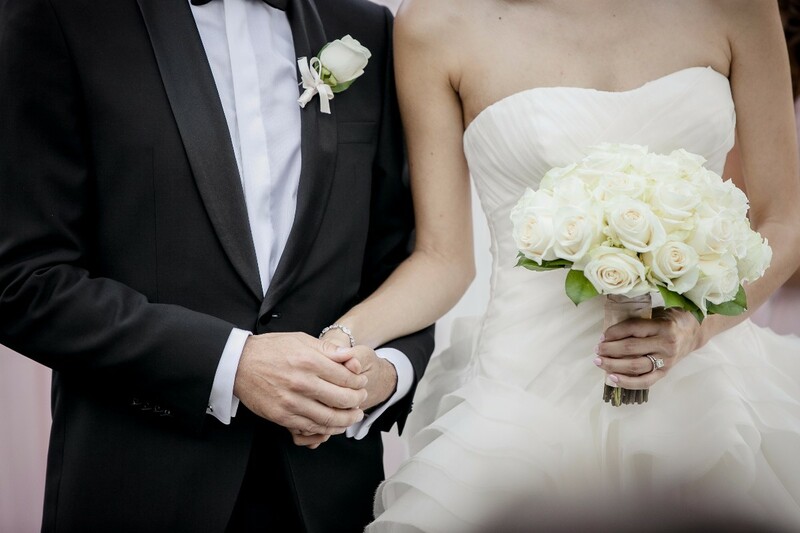 If you’re looking at a destination wedding, then look no further than Fede for your Wedding planner. 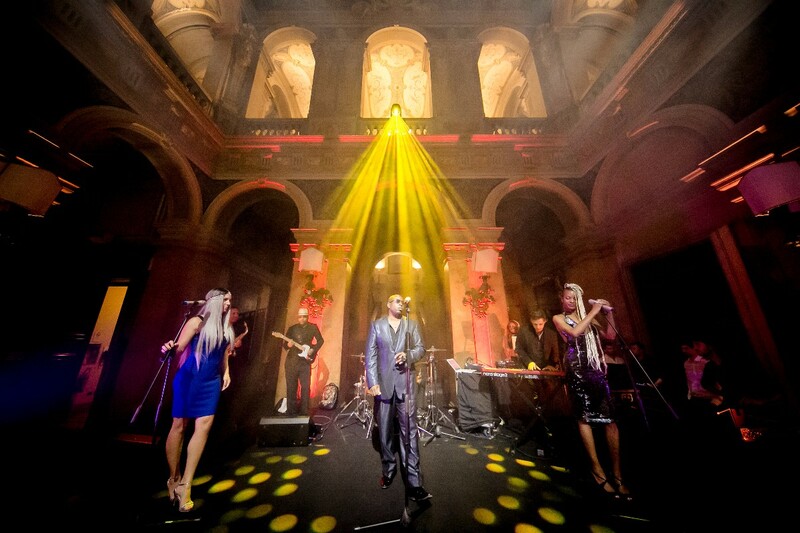 Just wanted to pop in and say how much we loved Fede at The Italian Wedding Event!!! We got married in May at Villa Oliviero and she made the entire week run so smoothly. 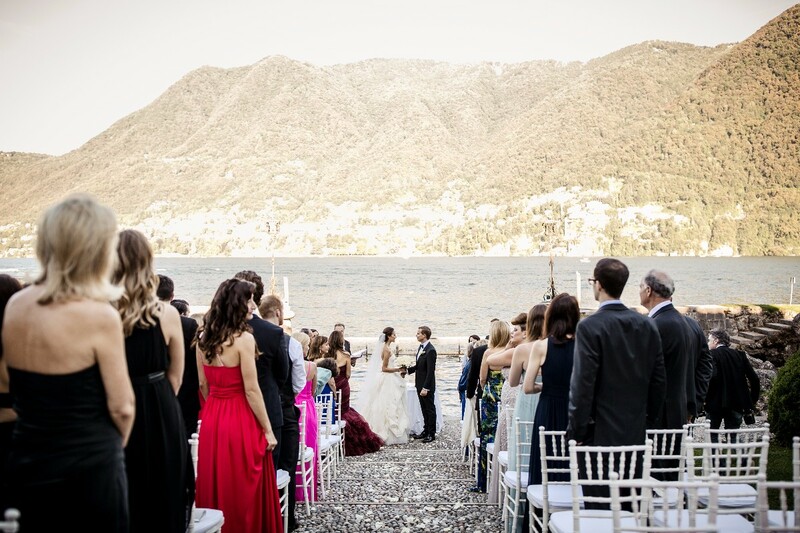 It's not always easy to plan a wedding and a week of events from across the world.... especially since we hadn't been to Italy or Positano before! But Fede made it a dream for us. We can't wait to go back. It was without a doubt the best time of our lives. I truly cannot say enough amazing things about Federica and Francesca. The words I am writing won't even come close to properly expressing my love and gratitude for this team of dream makers. I have never felt so loved and supported by someone I hadn't physically met yet than I did by Federica and Francesca. From the very first Skype session I felt as if I had known Fede for years! She put me completely at ease and I knew everything would come out perfectly. Truth is, our wedding was absolutely magical. Better than I ever could have dreamed!! Planning a wedding across the globe in a country you have never actually been to is no easy feat! Every vendor they suggested was impeccable. They gave their honest opinions in a friendly and professional manner and always responded promptly. When we arrived at our venue the day before our wedding, Francesca was already there making sure everything was in order. Through all of our email correspondence I felt like Francy was one of my greatest friends so it was wonderful to finally meet her in person! Her professionalism is unparalleled. We didn't have a single worry on, or before, our wedding day… if anything went wrong I have no idea because she took care of everything!! Several months later and our friends and family are still talking about how amazing she is! 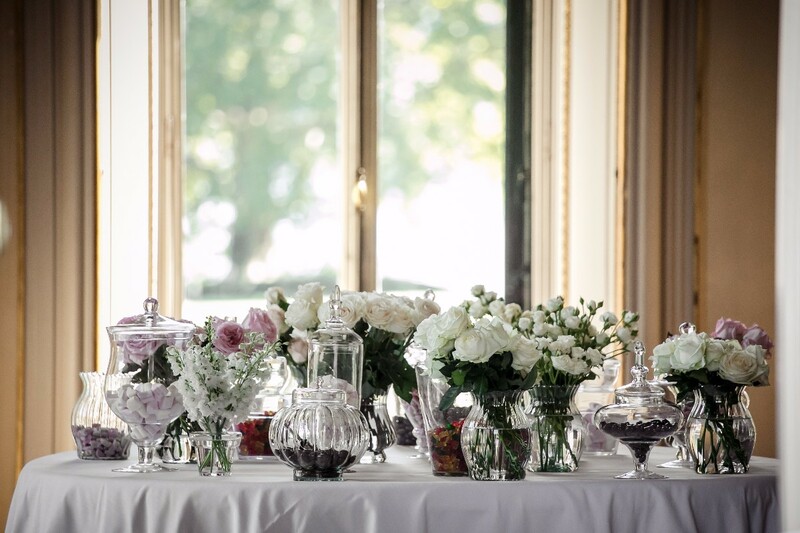 If you are looking for someone who will get just as excited about selecting the floral arrangements and flatware as you are then this team is for you. Everything they do is above and beyond!! Our hearts are so full of love and joy for Fede, Francy and the rest of the IWE team!! We were blessed to find you. Thank you from the bottom of our hearts! 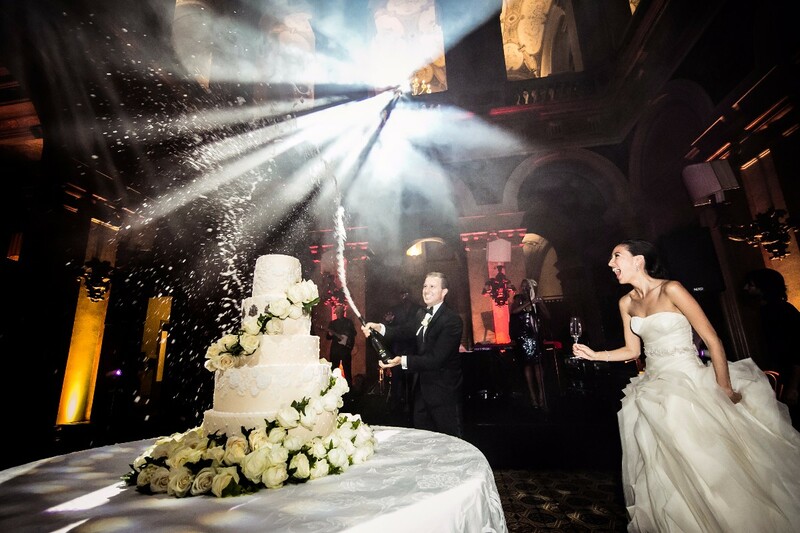 The Italian Wedding Event could not have done a better job at making our special day absolutely amazing! 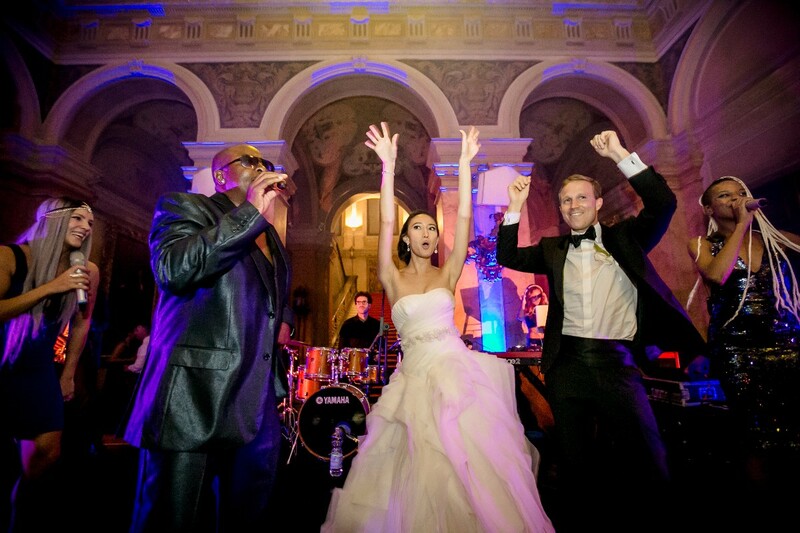 We still cannot believe how great our Capri wedding went. 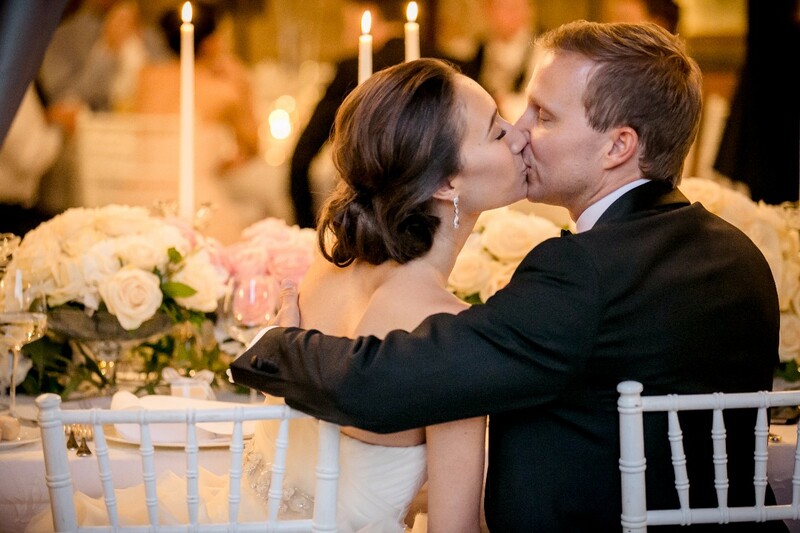 We wed at Hotel Caesar Augustus, and everything about it was unreal. Federica is such a sweet person, and really put her heart and soul into making our day wonderful! 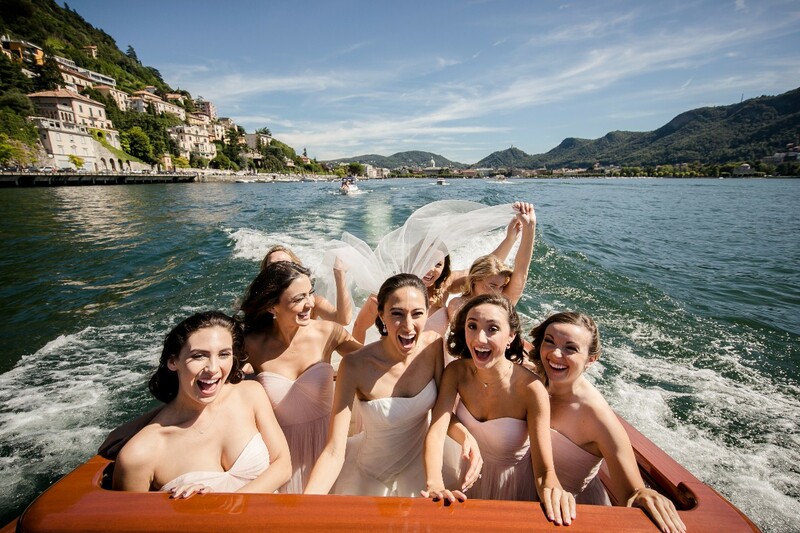 We highly recommend contacting her when planning a wedding in Italy. You will receive nothing but perfection! Thank you Fede!!!!!!! 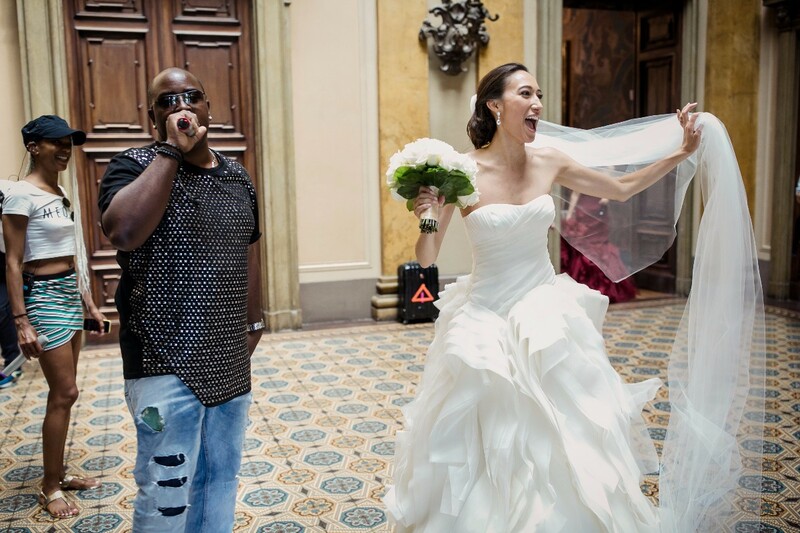 I was a little nervous to plan a wedding all the way in Italy since I live here in Miami, however, once I was introduced to Federica that all changed. From the moment we first spoke with her she made us feel comfortable right away. Federica really made this such an easy and fun process. I was so nervous that I would be very stressed out in getting all this done and Fede made this stress free! 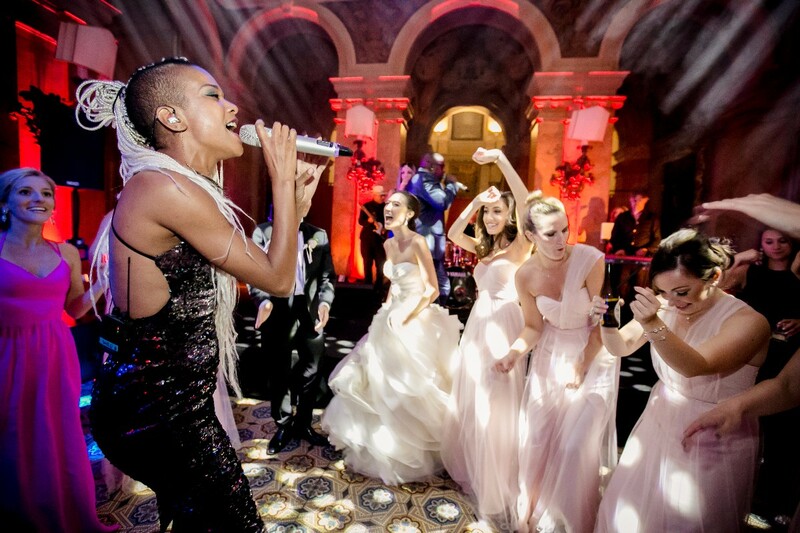 We couldn't have asked for a better wedding planner. She was professional and took care of every single detail to make sure that we had the most amazing wedding ever. 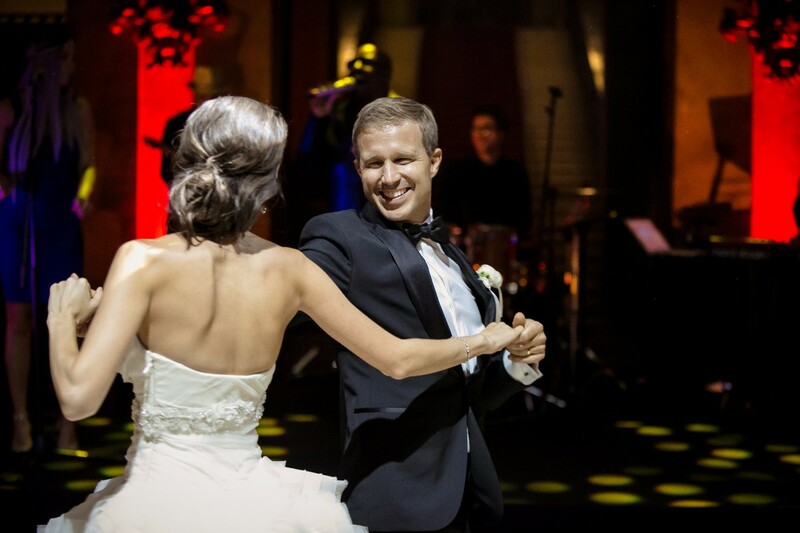 We will forever cherish the memories we made on our wedding, and we could not have done it without Fede. She is the absolute best hands down! 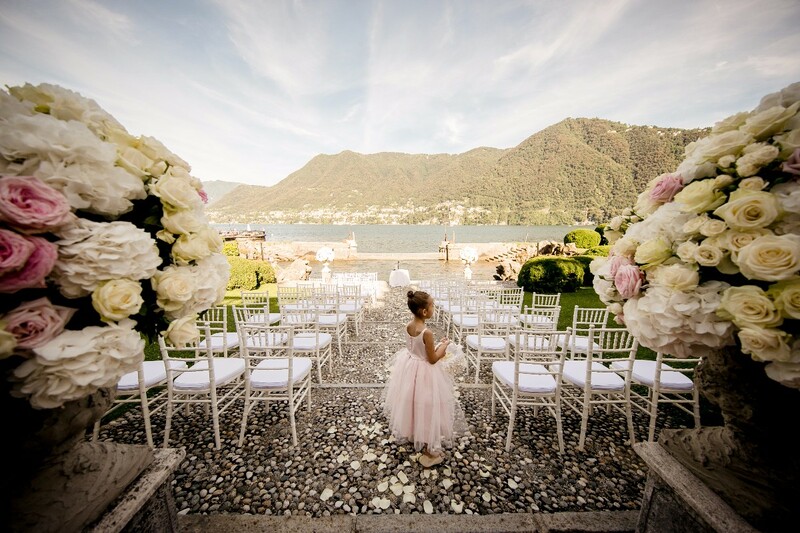 Fede - a fairy godmother for granting you your perfect Italian dream wedding! We were in contact with Fede for around 18 months before our wedding. 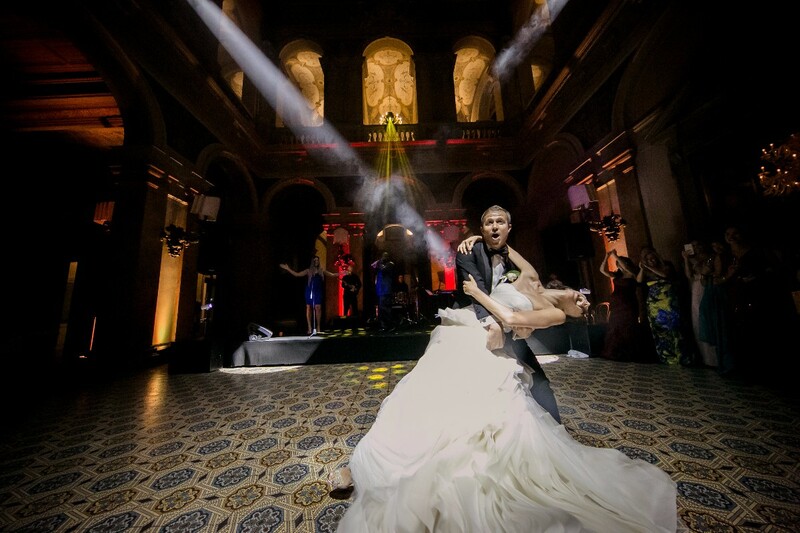 Many friends and family thought it must have been so difficult to arrange a wedding abroad and with a planner we had never met but it was SO easy! Fede is so approachable, always in touch by email or Skype and gave us a great checklist and timeline of what we needed to consider. She gave us recommendations for nearly everything associated with our wedding and honeymoon and everything she suggested was perfect - could not have wished for more and would not have changed a thing! 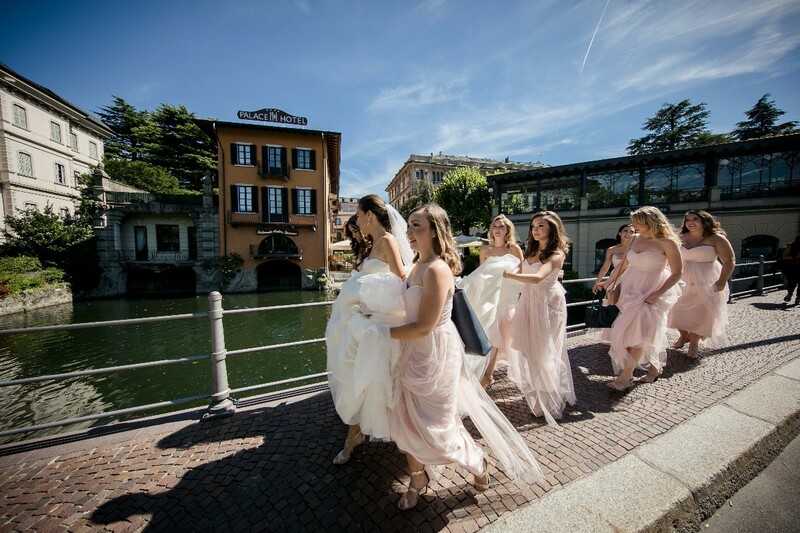 If you are thinking about having a wedding in Italy but are worried it might be difficult to plan - work with Fede and you'll have a great time planning, on the day and great memories for life. Thank you so much! 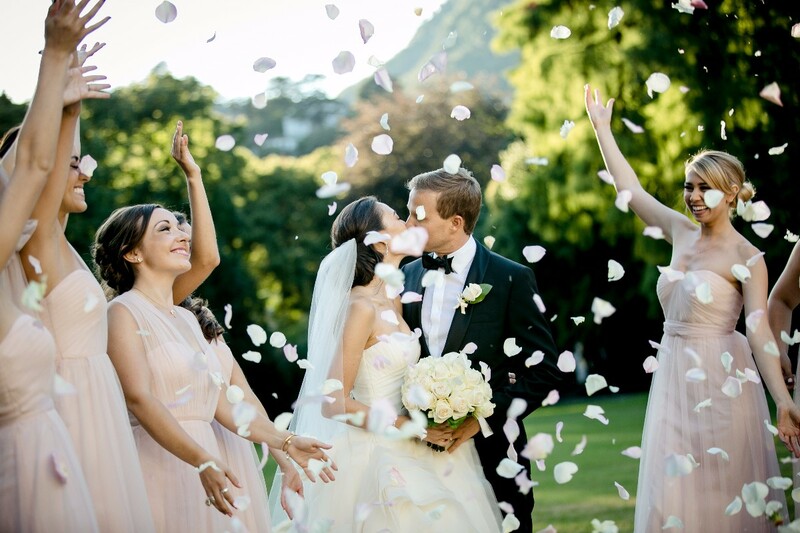 Our Fairytale Wedding When we were looking to get married in Capri, Italy we had already started the process, but we were unhappy with the slow response time of the planner we started with. 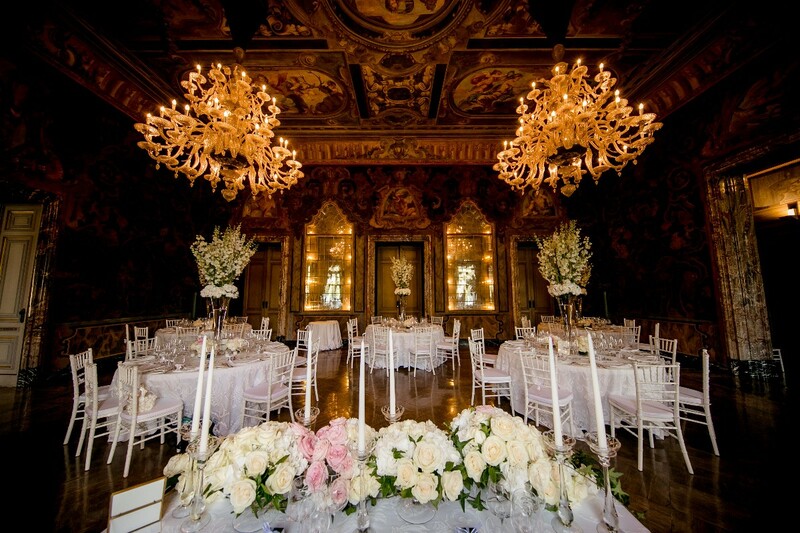 In looking at other areas to possibly get married in, and we stumbled upon Federica's wedding planning website (italianweddingevent.com). We had never been to Italy, and both of us being of 100% Italian descent, we thought that it would be an awesome way to start our lives together. We sent a note to Federica to ask for some more information, and she got back to us in the same day!! We were so excited about the quick response time, we were even more blown away when she offered to have a call with us whenever it was convenient for us (despite the time difference, and something that no other companies had offered) and we had an awesome chat. She recommended a small town on the almafi coast called Positano after going back and forth and really learning what we really were looking for in regards to a wedding in Italy based on our taste and personalities. Having no idea what to expect, we entrusted Fede with planning not just our special day, but took her advice on our entire stay, as well as that of our our 10 family members. She always had options for us, but never an overwhelming amount, and all of them were so fitting for us. We must say, she nailed it! We couldn't imagine a more perfect day or stay! It was so stress free on our part and she made everything so easy! Not being much into details, she a kept it simple or us and never made us feel like we were being pests. Her response time was always impeccable and she never left us waiting and wondering, we felt so comfortable the whole time. 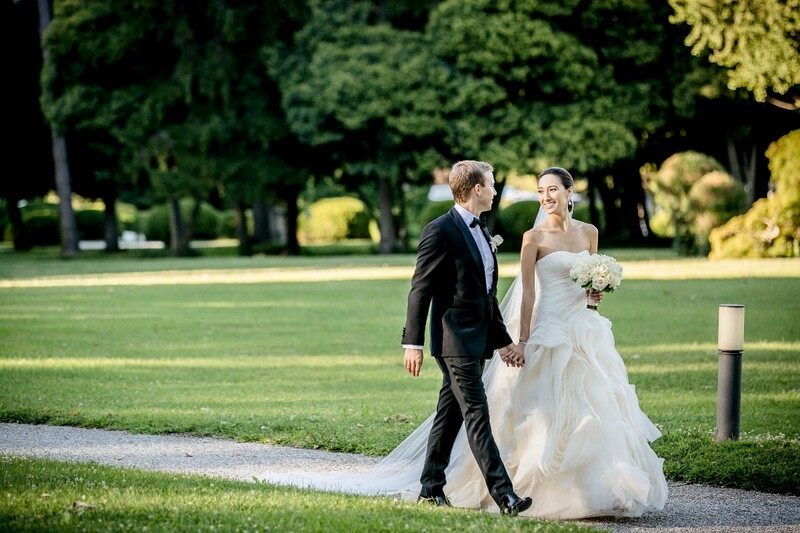 Over the 14 months of planning, we built a wonderful relationship with Fede and by the time we got to Italy and met her, it felt like we had known her forever. She made us feel so special and unique, and despite her busy schedule and all of the planning, you would never know that she had other things going on because she was always there for us when we needed her. She even came to Rome to meet up with us before our big day to make sure everything was ready before we reached Positano. Needless to say, everything went off without a hitch! 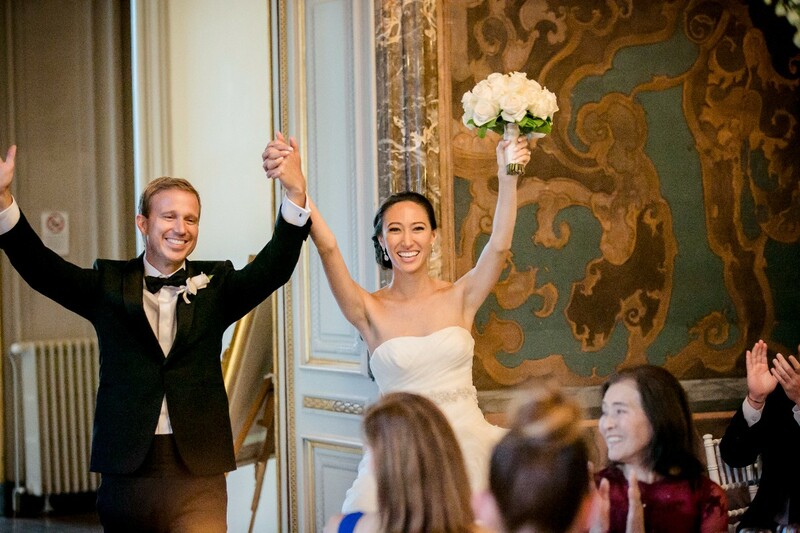 We can't say enough kind words about Fede, our wedding, and the memories we will have forever! 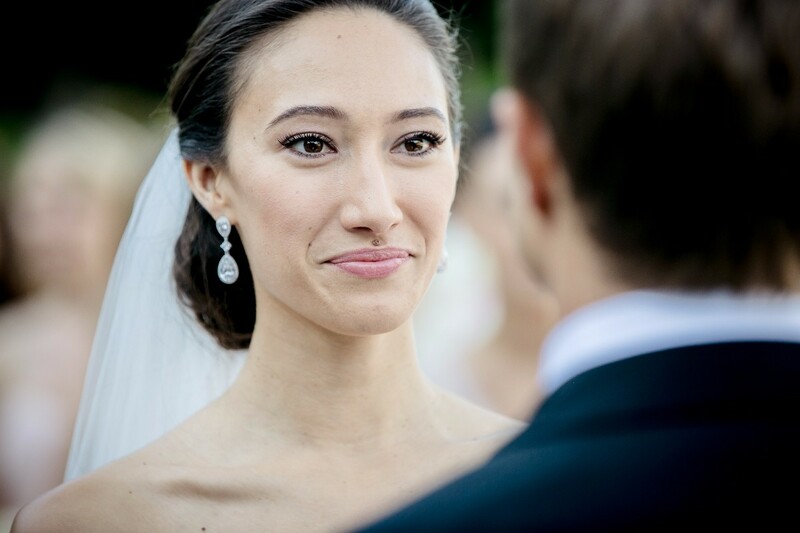 Federica Nascimben is a beautiful person inside and out and will make sure you have the wedding of your dreams! 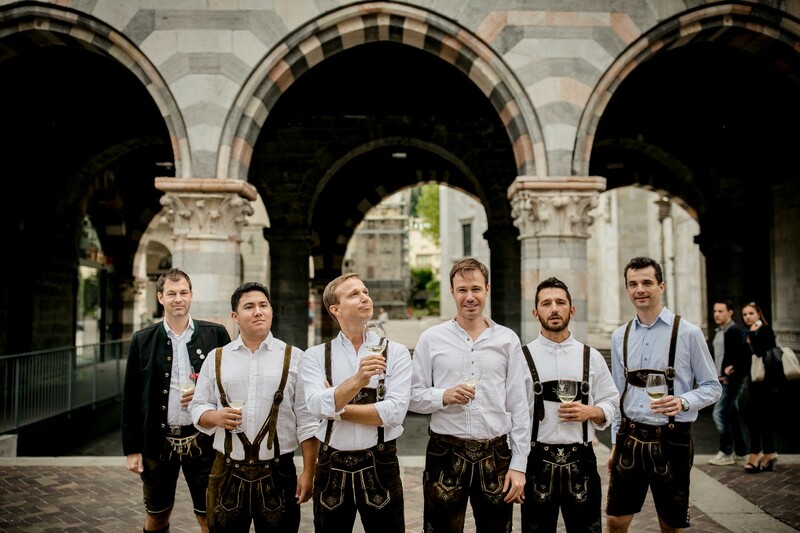 Planning a wedding overseas seemed like an impossible task- until we found Fede!! 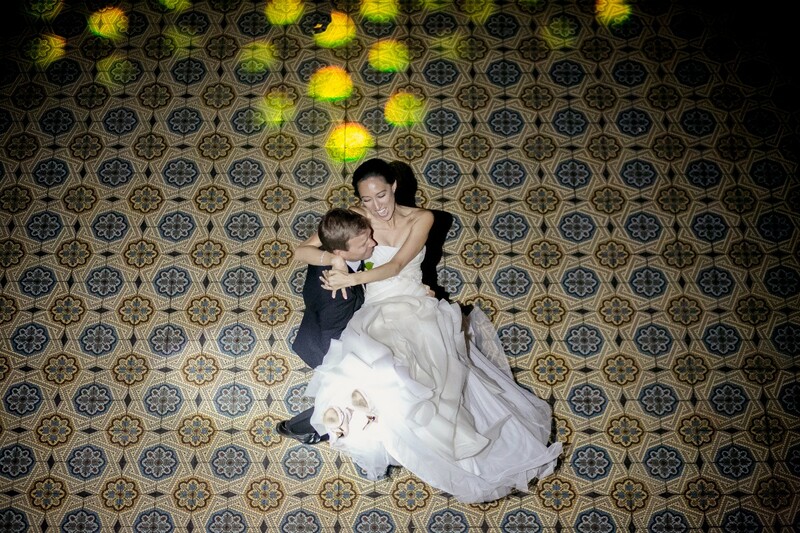 From Fede's first email to us, she far surpassed any other wedding planner or event planning company we contacted! 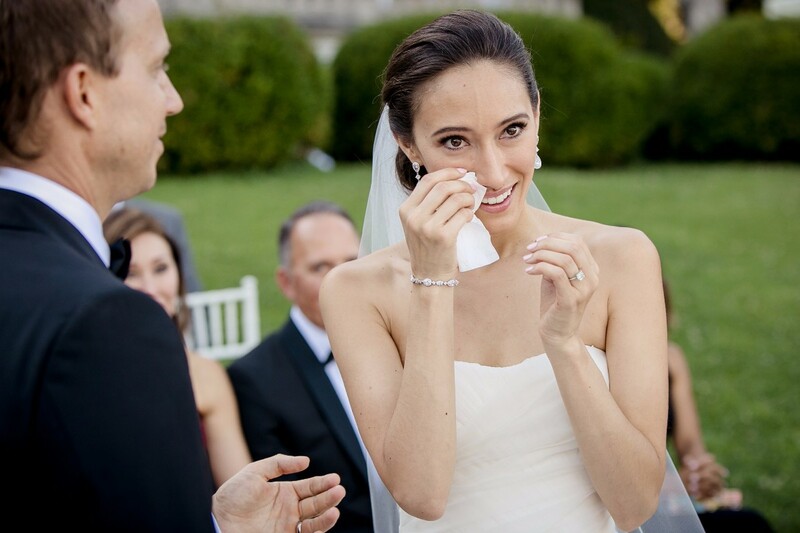 She instantly impressed us, and we knew she was the best person to work with for our wedding. We totally put our dream wedding in Fede's hands and she not only made all of our dreams come true- she planned our perfect fairy tale!! During the planning process, Fede was thorough and detailed. She responded to every email in a timely fashion (actually very quickly!!) and was open and honest about everything. 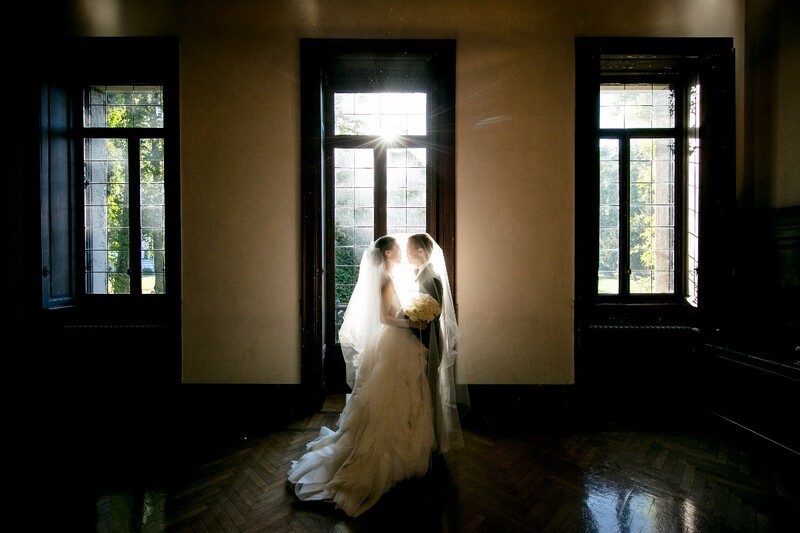 We trusted Fede, and we knew she was doing the best for us with every little detail. 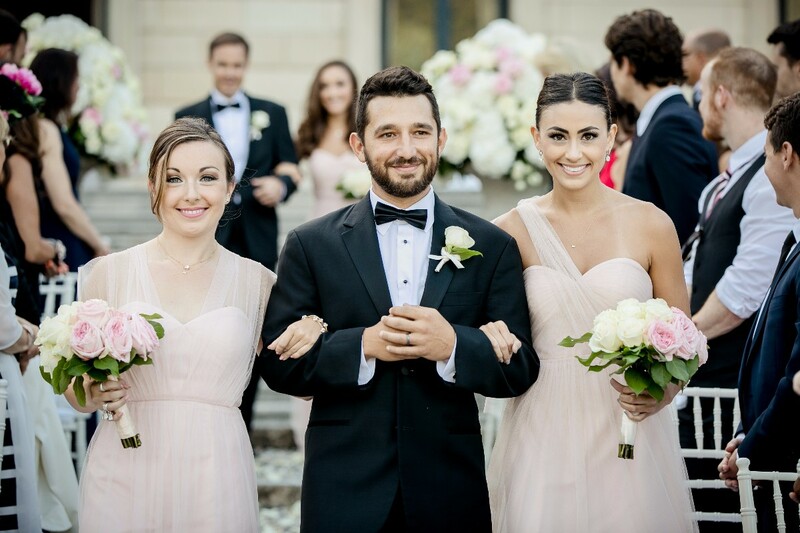 We felt comfortable and relaxed during the planning process, knowing Fede was such a wonderful wedding planner! 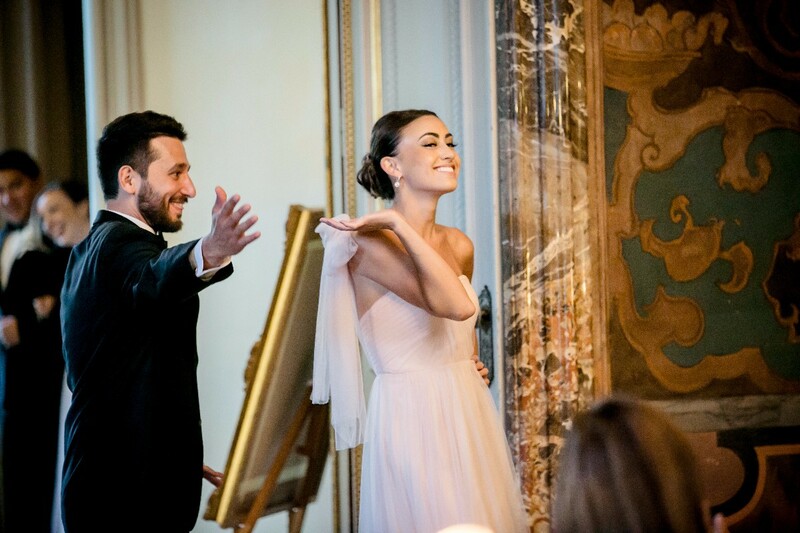 When our wedding day arrived, Fede was by our side making sure everything went perfectly! As my father walked me down the isle, I was seeing our wedding come to life for the first time! 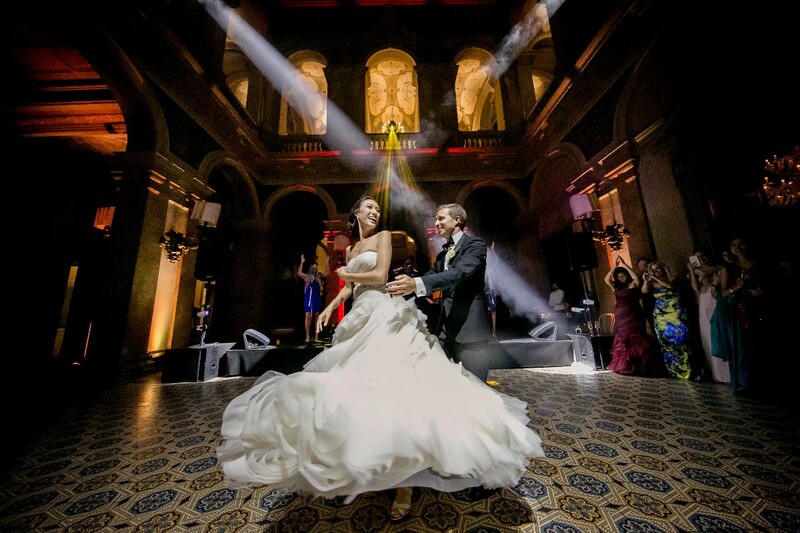 As I looked around I was amazed in every way- Fede had gone above and beyond and put together a wedding that was even more beautiful than we could have ever imagined!! 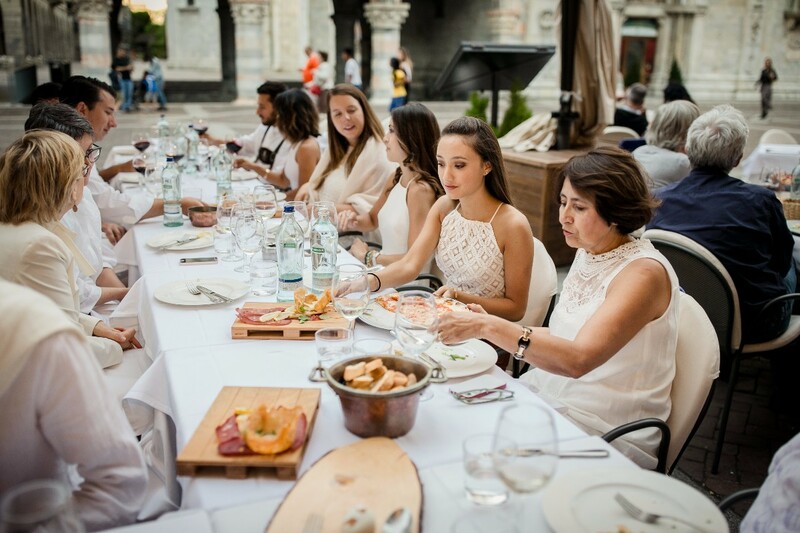 If you are looking to plan a wedding in Italy- DON'T do it alone! You won't regret hiring Fede, it was the best decision we could have ever made! We are forever thankful Fede! We truly feel we have a lifelong friend! We LOVE Fede!! Excelente atención, trabajo y en general toda la organizacion. El servicio es bastante completo y el equipo muy cariñoso. Estamos muy agradecidos de todo lo que hicieron por nosotros, ya que nuestra boda fue maravillosa! When me and my husband decided to get married in Italy we had infact never visited the area we choose.We went on line to find out how we go about getting married in Italy and come across some different wedding planners and after speaking to around four different wedding planners we decided to go to Italy to meet the beautiful Federica. On arriving to Milan Malpensa we made our way to Lake Como Tremezzo (travel options all supplied by Fede.We was met at our hotel the next day by Fede who drove us to every destination possible on the lake for us to see so we could be sure we had seen every option available to us.On our flight home we knew we was going to be using Federica and exactly where we was going to get married to the reception venue. 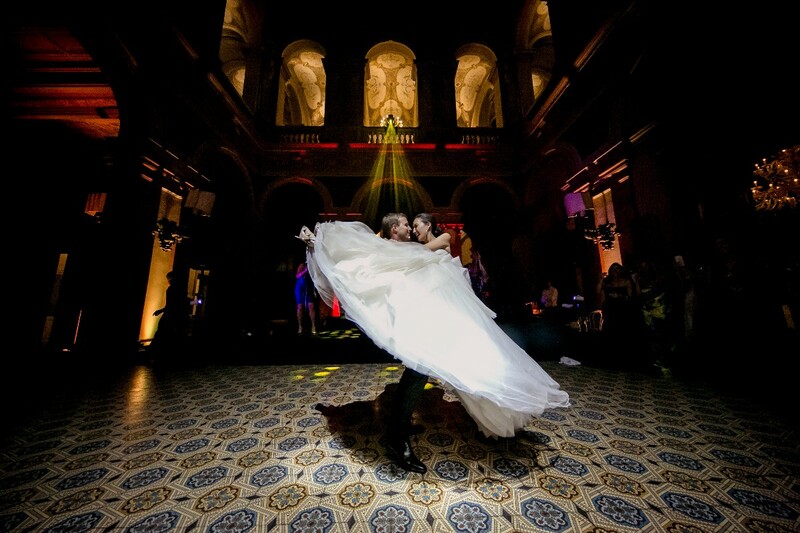 We contacted Fede on reaching London Gatwick and booked our wedding officially. Our wedding day was spectacular from every little detail and requirements we requested was met by Federica and more to say the least. 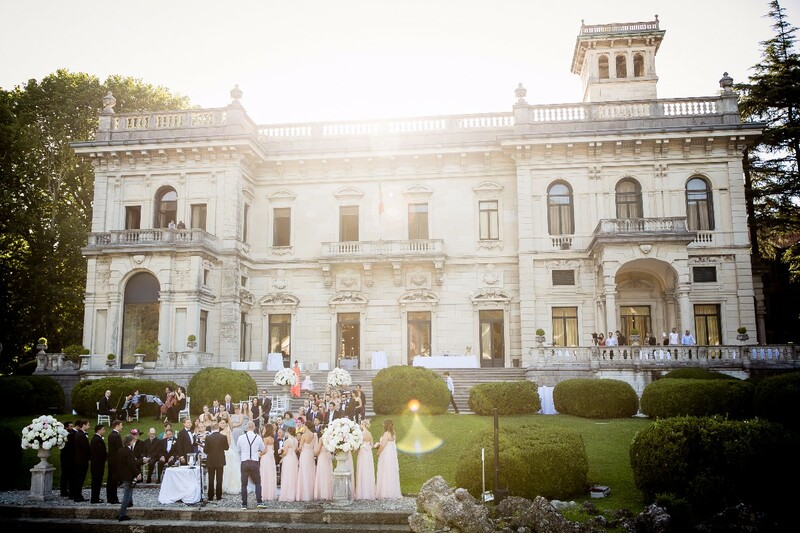 We got married in Villa Balbianello and we had our reception at Lido Di Lenno and my whole experience and special day would not have happened with out Fede. 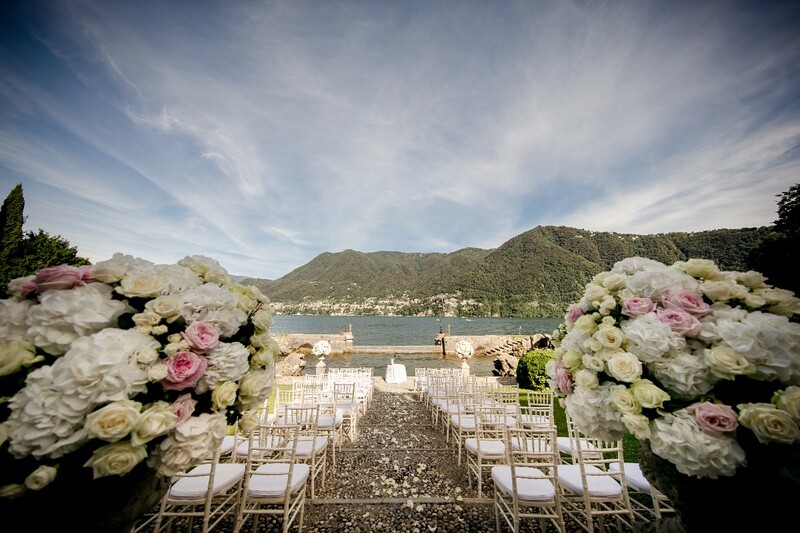 Please if you are interested in getting married in Italy look no further and contact The Italian Wedding Event as you will never meet such an amazing person as Fede, who can make Miracles happen and dreams come true with no stress what so ever. Thank You Federica. 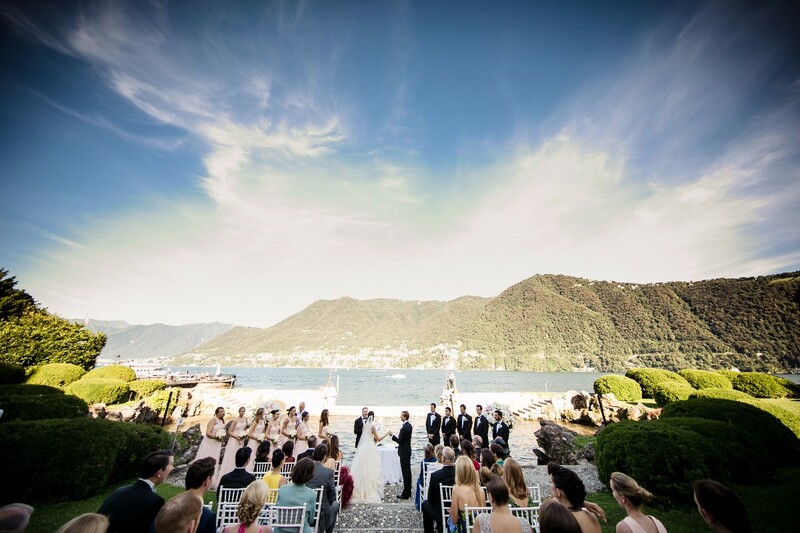 I got married in Italy recently and I just wanted to post something about the wedding planner that I used for my wedding at Lake Como. 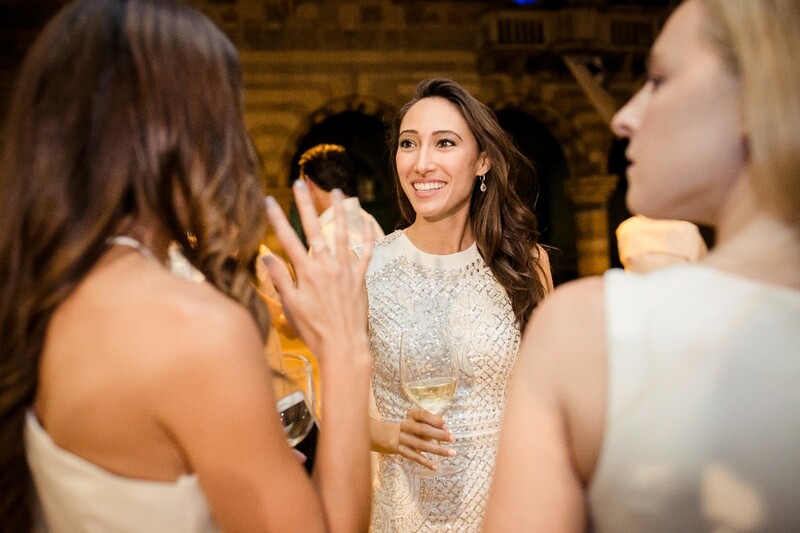 Federica Nascimben is the owner of the Italian Wedding Event and she was the one I dealt with all of the time. She was absolutely excellent to deal with from start to finish. I first contacted her 18months before our wedding by email. She was actually on holiday at the time but she still took the time to reply with a long and very detailed email answering all of my questions. Nothing was too much trouble for her. After the first email she asked me if I wanted to have a phone call with her to discuss anything. So I did and it was really good to talk to her. I spent about an hour on the phone with her chatting about various options. 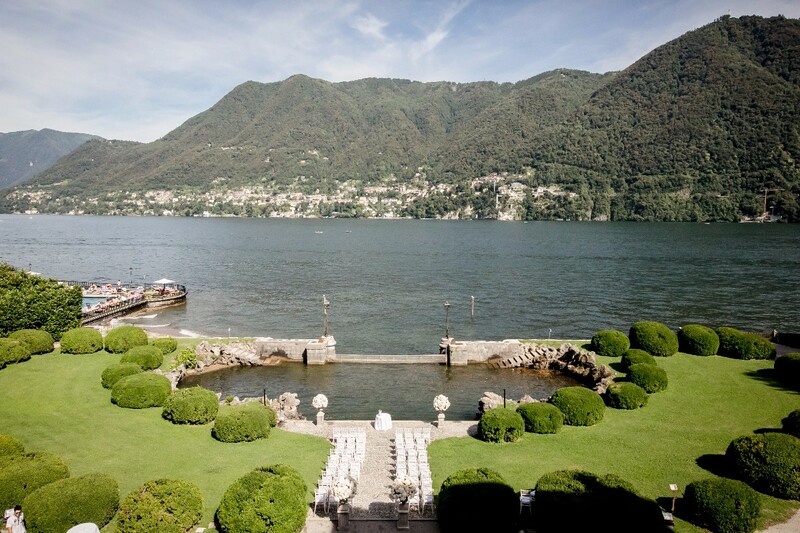 After that then, myself and my now hubby decided that we wanted to have our wedding in Lake Como so we booked flights to go over and view a few places in Lake Como for our wedding. We arranged to meet Federica there. We hadn’t actually hired her at this stage but she met us and brought us around and showed us a couple of venues that we wanted to see. She then left it to us to make a decision. She didn't put any pressure on us to make a decision right away. When we got home we decided to hire her as our wedding planner and it was the best decision we ever made. She was always ready to answer any questions we had. All communication was over email and she was brilliant at answering any questions we had. 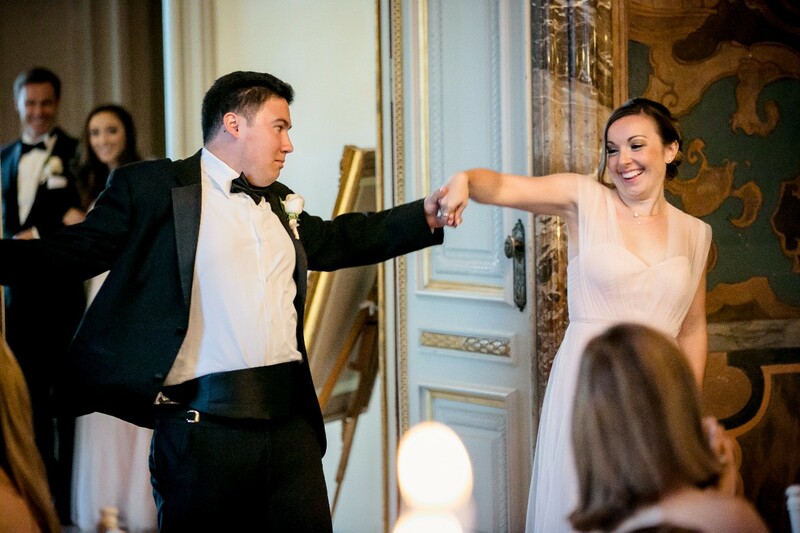 With having a wedding abroad there is always a little bit of anxiety about things. But with Fede, she was great. She made us feel like ours was the only wedding she was planning. When I am sure she probably had about another 20+ weddings to plan!! Anyway, I don't want to go on too much. I just wanted to post something about her because she really was brilliant. 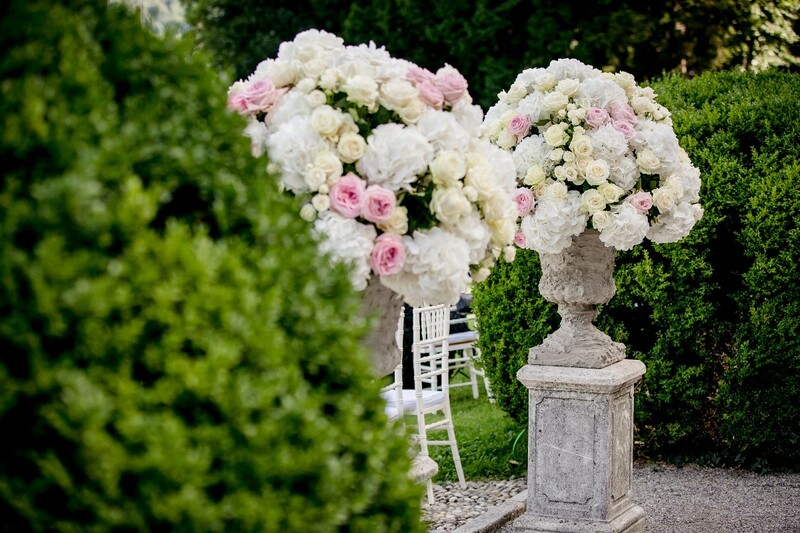 If anyone is considering getting married anywhere in Italy, you won't go wrong if you choose Federica, The Italian Wedding Event as your planner.